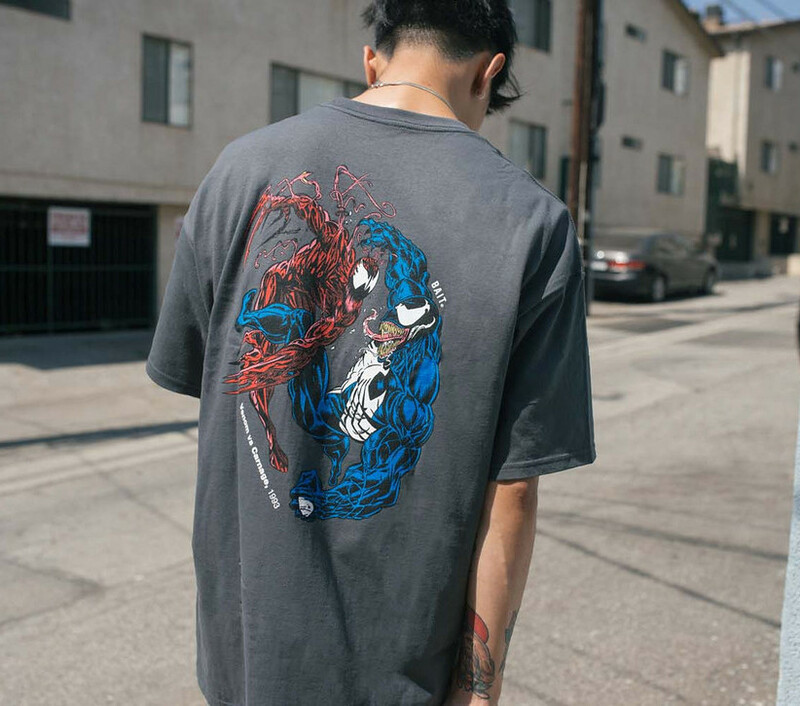 Before our story begins, let's take a look back at these past ten years, these ten years that belong to Marvel Studios. 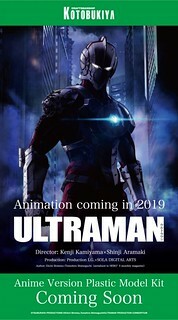 Who would've thought that ten years ago, Iron Man, a film about a then B-list superhero would release to massive critical and commercial success, triggering an avalanche known as the Marvel Cinematic Universe. 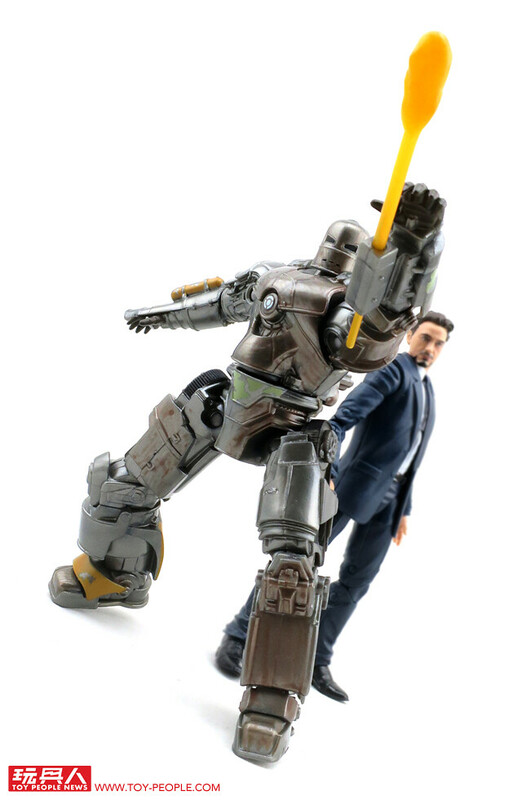 Marvel Studios' The First 10 Years was the first step towards building the foundation of this film universe, and Iron Man was the all-in play that not only resurrected Marvel Studios as well as Robert Downey Jr.'s career, pushing him to superstardom and solidifying him as Tony Stark to an entire generation. No matter how you look at it, Iron Man was and still is a monumental achievement. 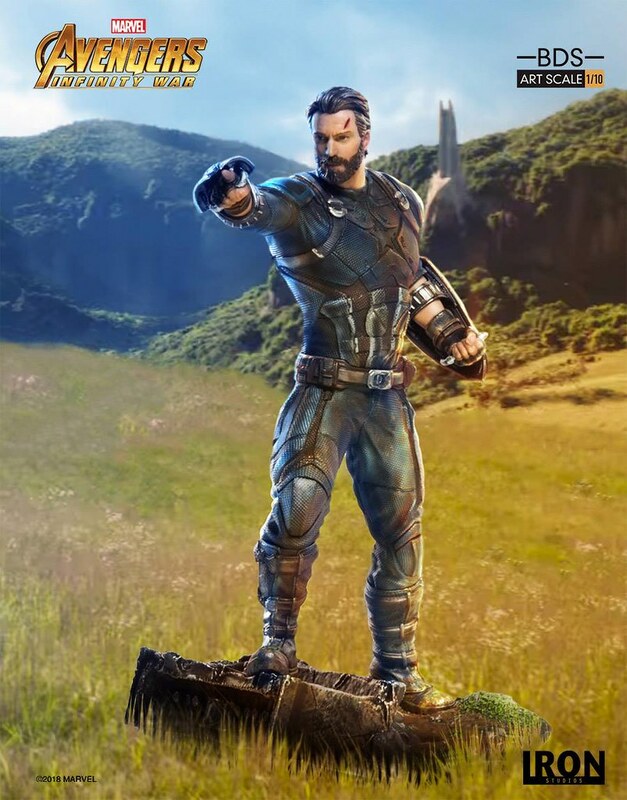 The runaway success of 2008's Iron Man allowed Marvel Studios to confidently release Thor and Captain America: The First Avenger, paving the way for the culmination of the Avenger Initiative, uniting the heroes we know and love against the extraterrestrial Chitauri invaders in 2012's The Avengers. 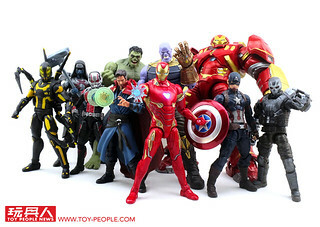 Following the conclusion of Phase 1, Marvel Studios quickened its pace, releasing hits like Guardians of the Galaxy, Ant-Man, Doctor Stranger, Spider-Man: Homecoming, and Black Panther, displaying the unique charm of each character with the individual films while pushing major plot developments in ensemble films like Avengers: Age of Ultron and Captain America: Civil War, before tying all the storylines together in 2018's Avengers: Infinity War and ending these golden ten years with a breathtaking ending that left fans gasping for more. 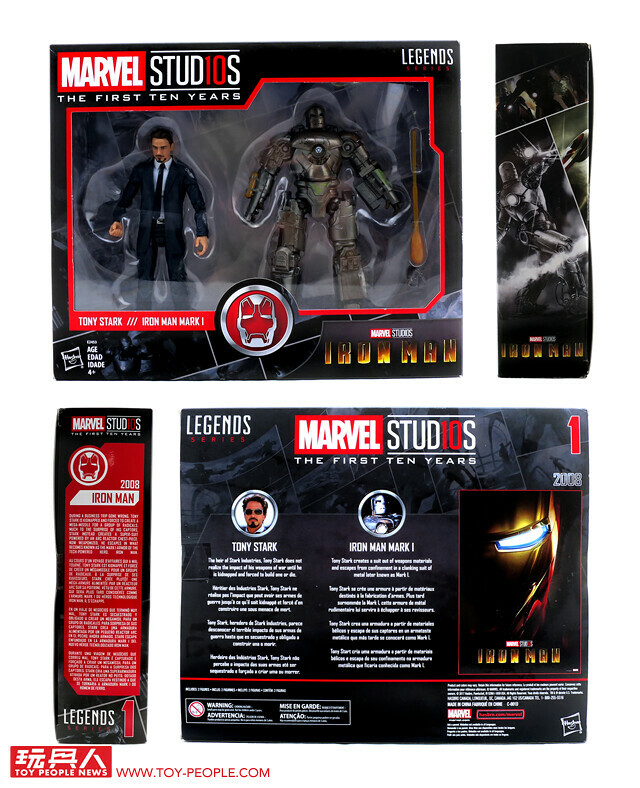 To celebrate the glorious ten years of the Marvel Cinematic Universe, Hasbro's Marvel Legends series has released the Marvel Studios: The First Ten Years anniversary figure collection. 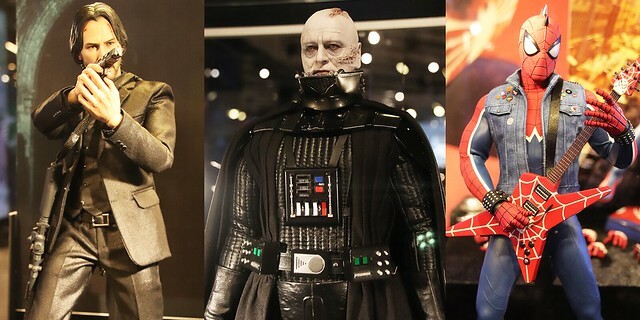 Using 6-inch articulate figures, Hasbro has captured a number of heroes and villains from the films for a all-encompassing look back at ten years of films. 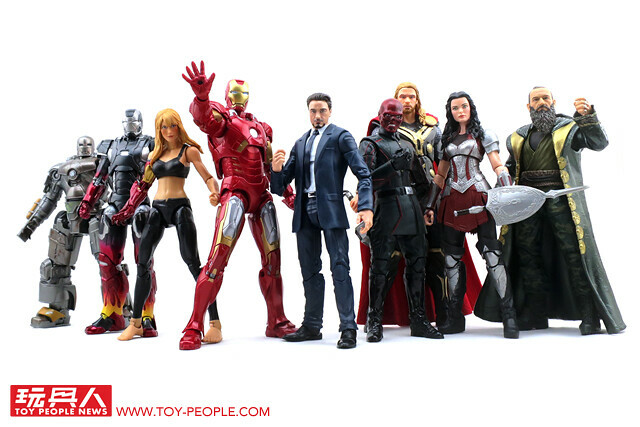 And without further ado, let's take a look at the unboxing for figures No. 1-5! ▼ Here we have the main event: each set, with numbers from 1 through 5. 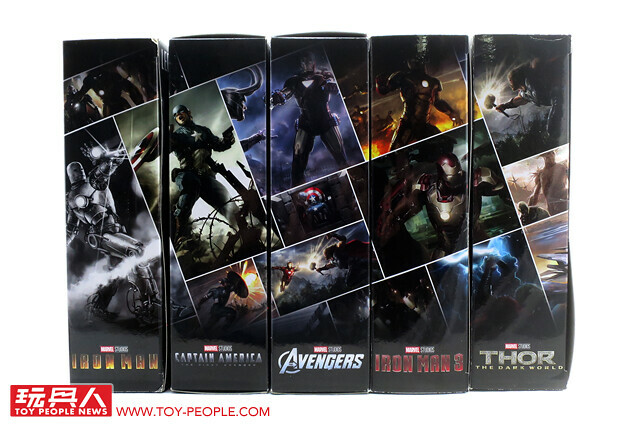 The box art can be assembled to form a diorama of classic scenes from the films. Can't wait to see how it looks when it is complete! 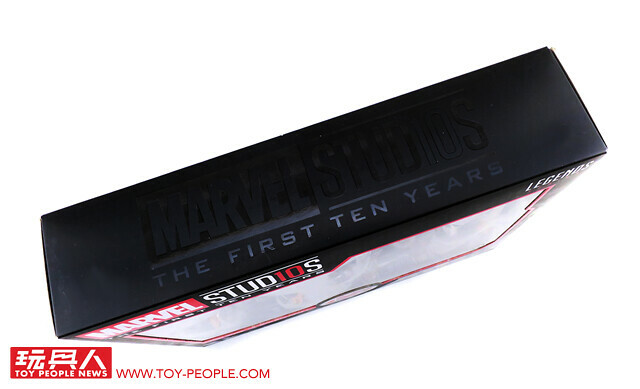 ▼ Each box is printed with "Marvel Studio The First Ten Years" in large font. ▼ No. 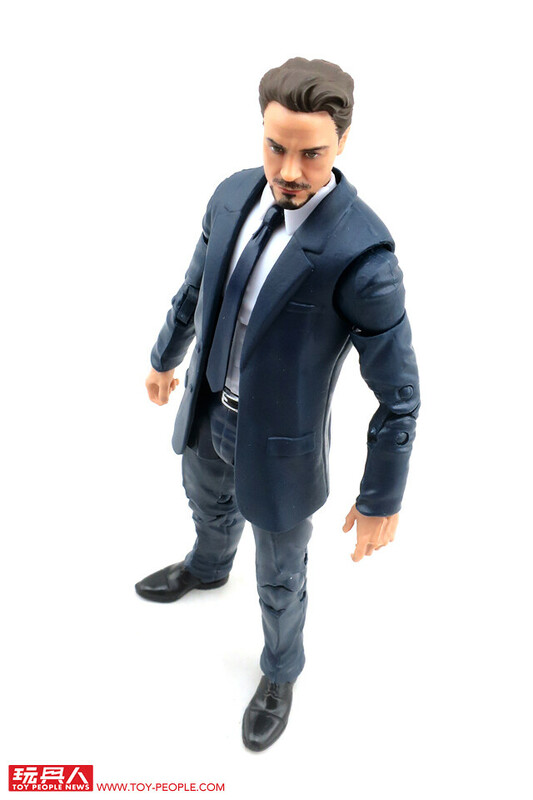 1 Tony Stark and Iron Man Mark I 2-pack from 2008's Iron Man. 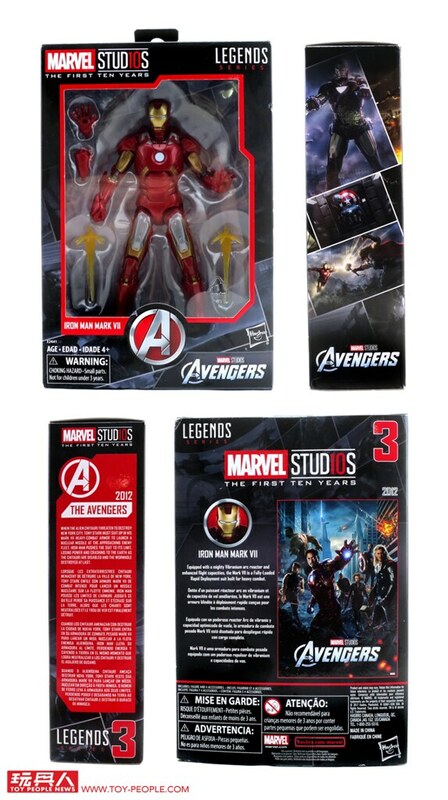 As Marvel Studios' first step into the Marvel Cinematic Universe, this first pack has deep commemorative meaning. 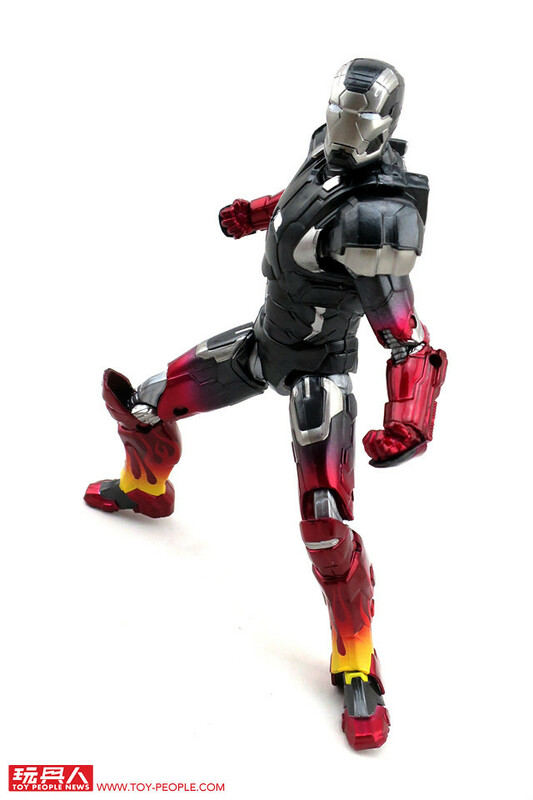 ▼ Includes Tony Stark in a suit, the Iron Man Mark I Armor and a flame projectile. 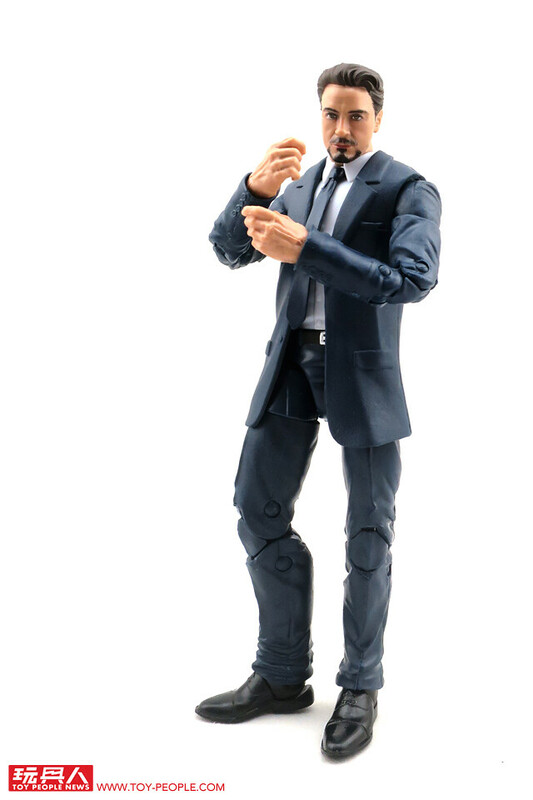 ▼ Tony Stark shares the same suited body as the Agent Coulson figure but with a brand new Tony Stark head sculpt. 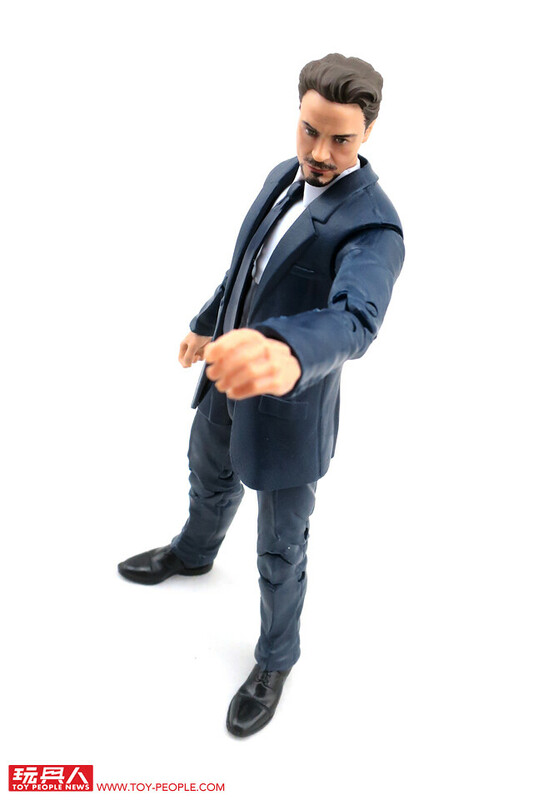 ▼ Uses new printing techniques to capture Robert Downey Jr. appearance on this miniature 6-inch figure. 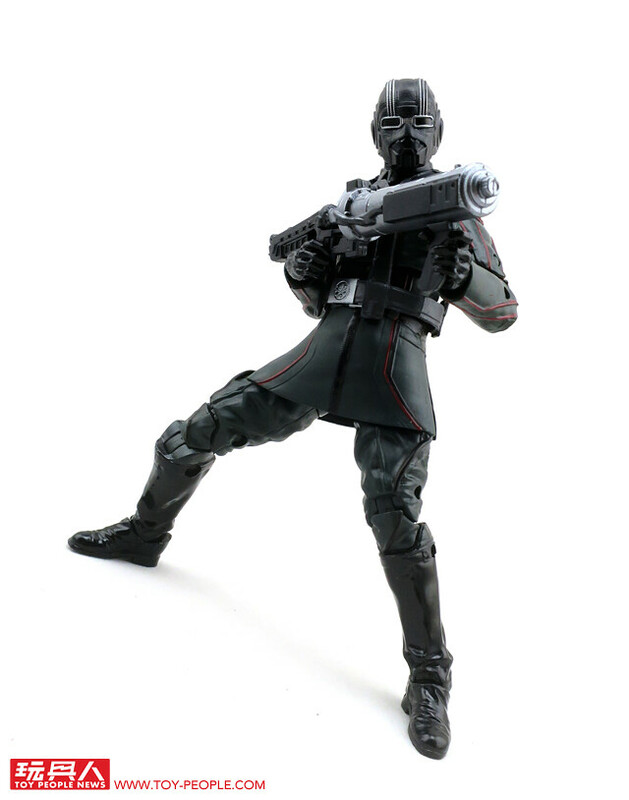 ▼ Figure comes with a high level of articulation and can assume many different poses. 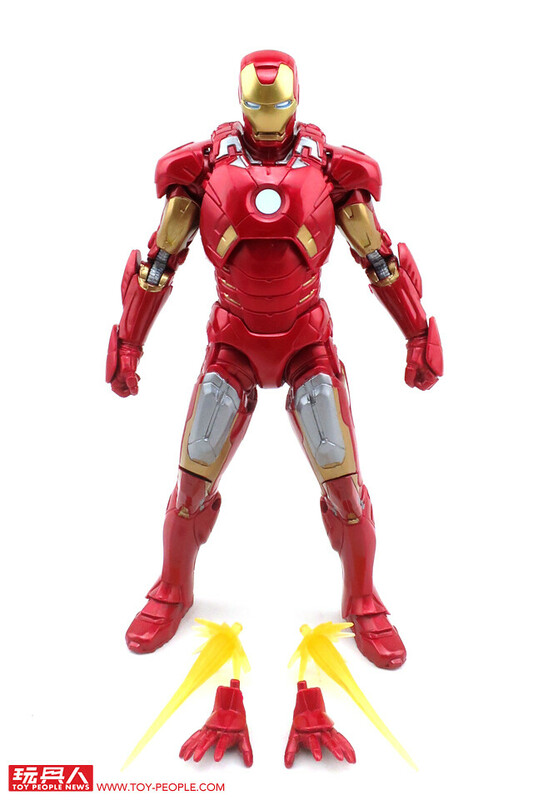 ▼ "The truth is...I am IRON MAN." 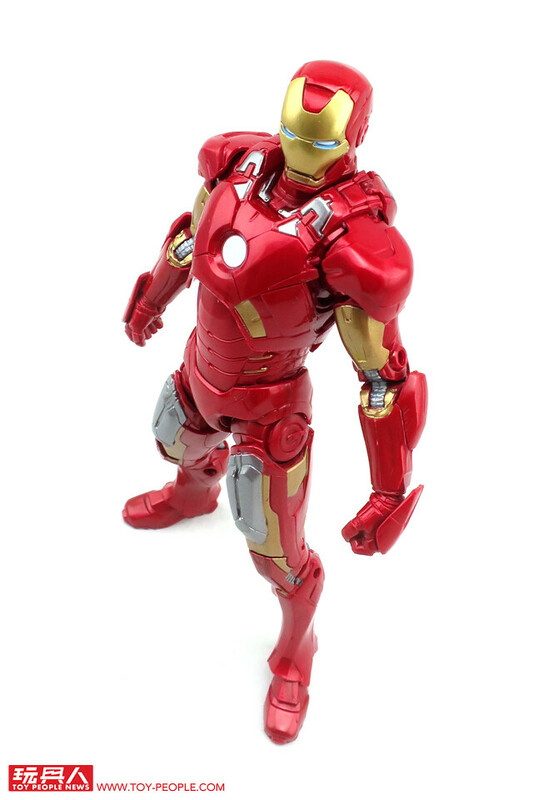 ▼ The other heavy-hitter of the 2-pack: the Iron Man Mark I. 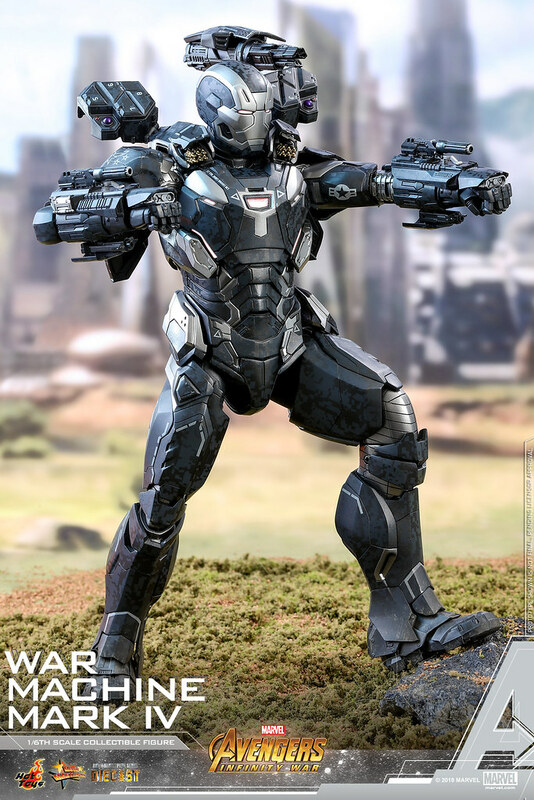 This is the first suit Tony Stark developed in Afghanistan while being imprisoned by the Ten Rings. 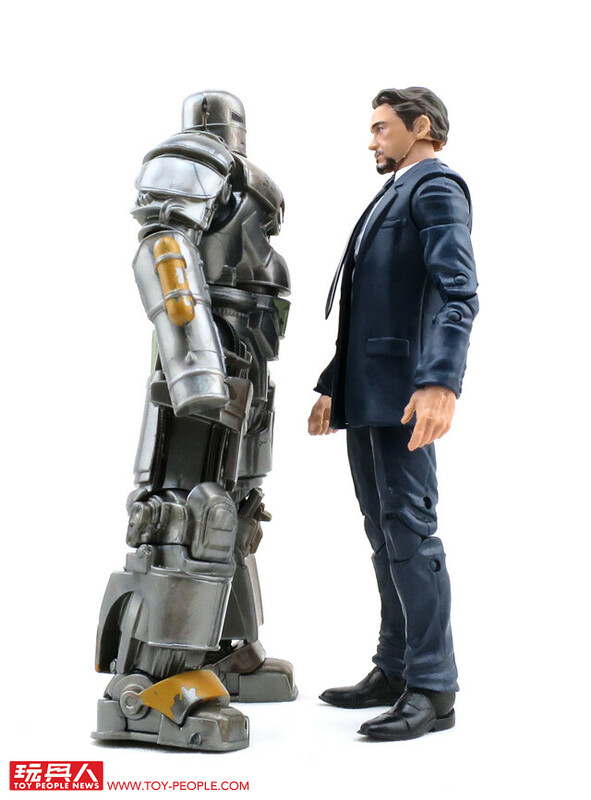 Due to the limits of Tony's circumstances, the Mark I suit resembles a box of scraps. 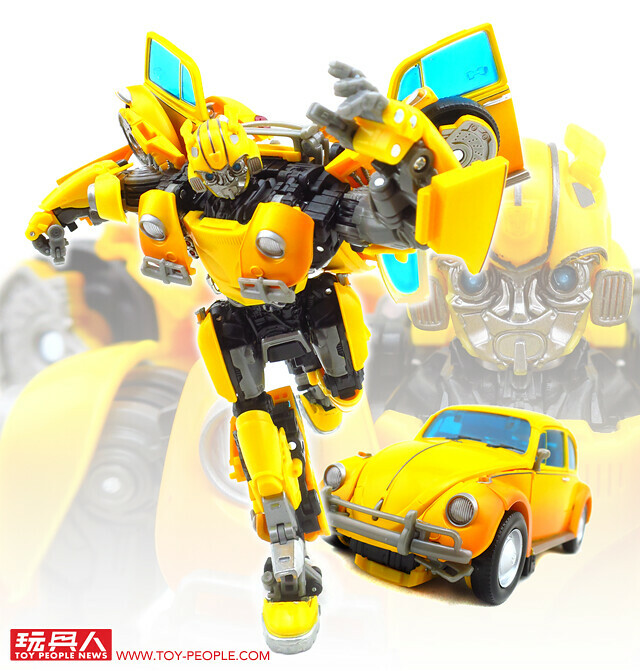 This figure is not a new mould but a recolor from the 2008 edition. 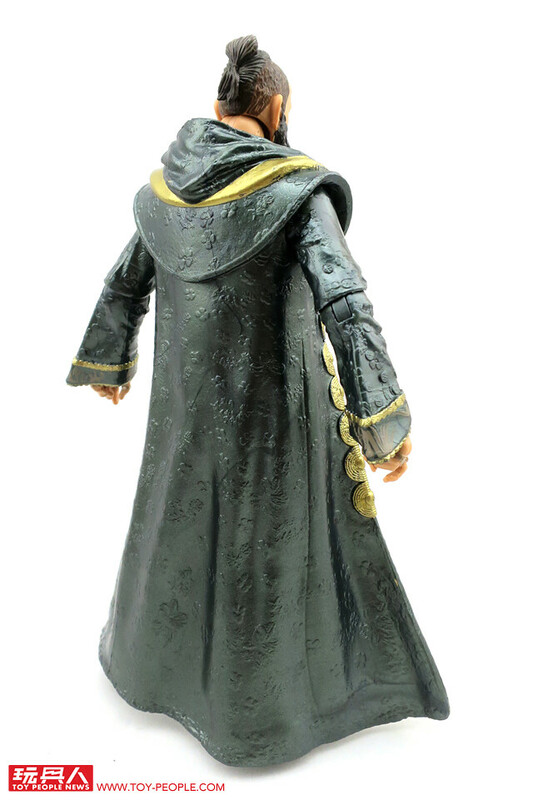 ▼ The metallic texture on the figure is much more realistic with accurate faded paint details. ▼ The mechanical details in the waist area. 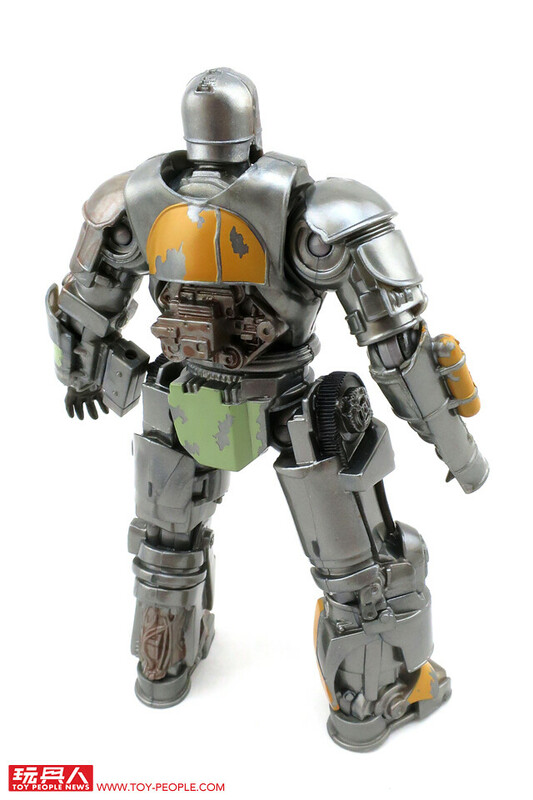 ▼ The rust and faded paint elevates the realism and texture of the figure. 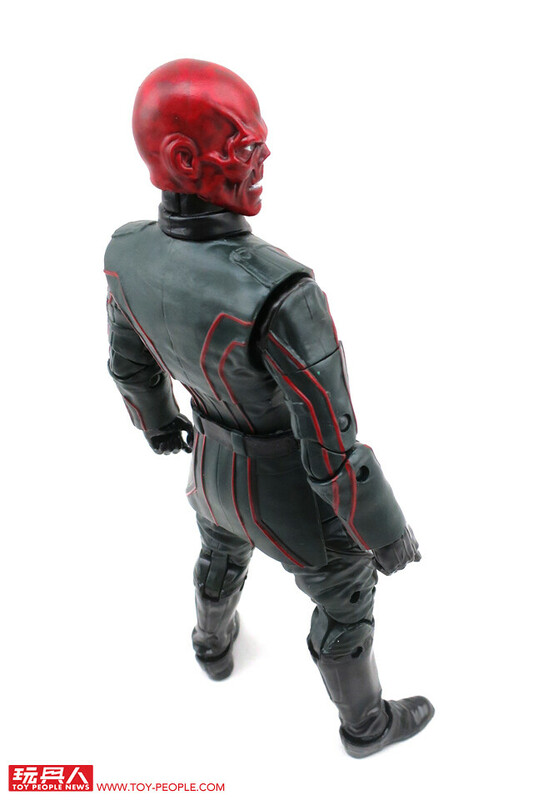 ▼ The articulation has not been updated and leaves a bit to be desired. 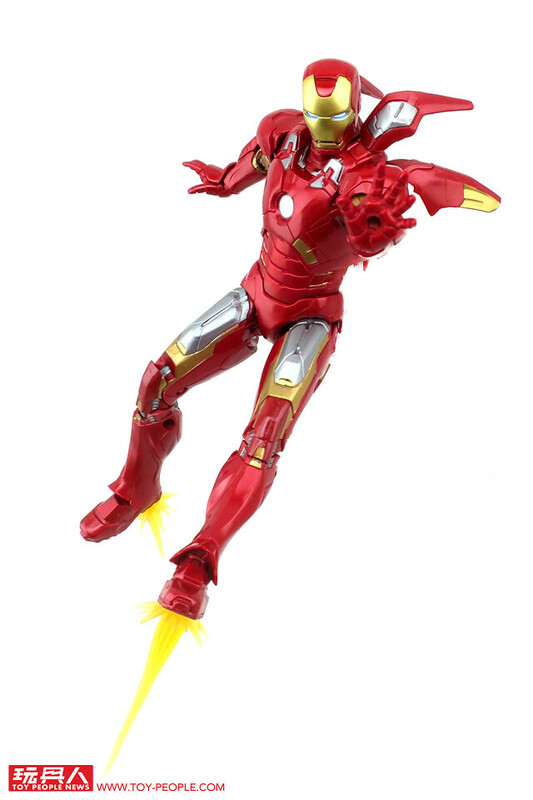 ▼ The flame projectile can be attached to the left arm and is fired via a gentle push on the spring. ▼ We've come a long way since the beginning. 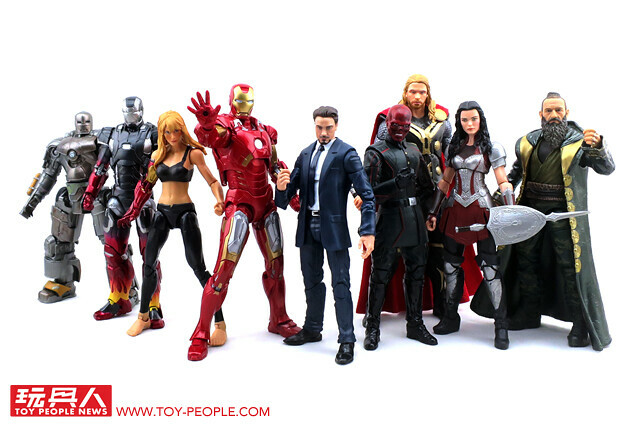 ▼ Where were you when Iron Man first hit cinemas? ▼ No. 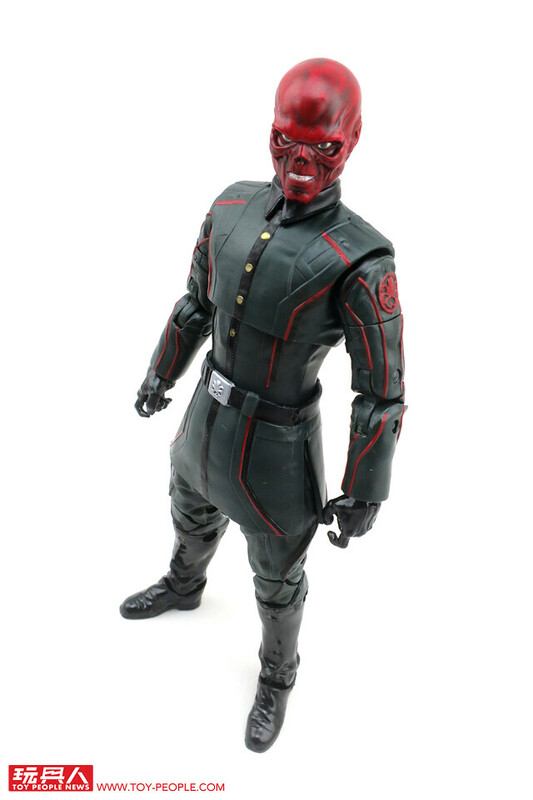 2 Red Skull from 2011's Captain America: The First Avenger. 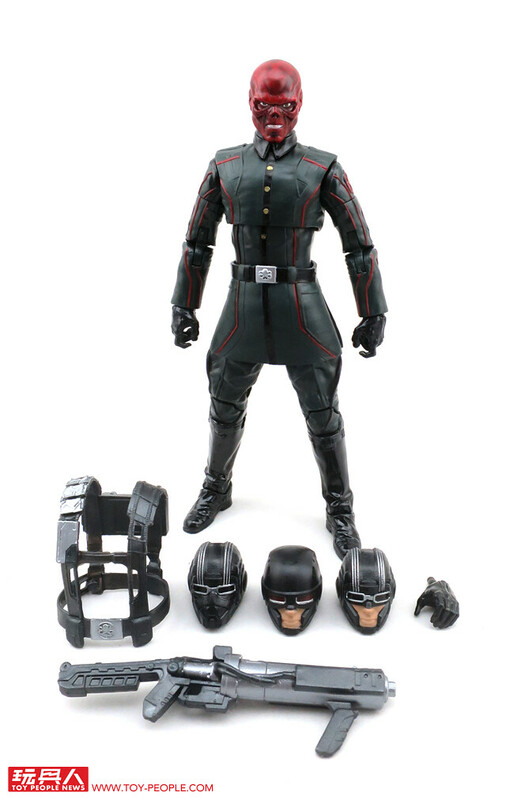 Born Johann Schmidt, the Red Skull is Captain America's infamous archenemy, heading Hydra to aid Hitler and the Nazi war effort. 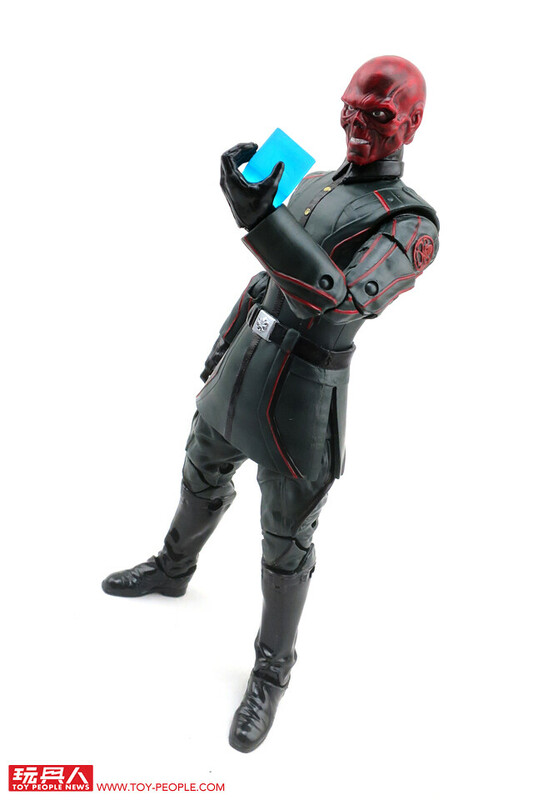 He acquires the Tesseract and tries to use it to dominate the world, but was unable to control its power and was transported into the cosmos. 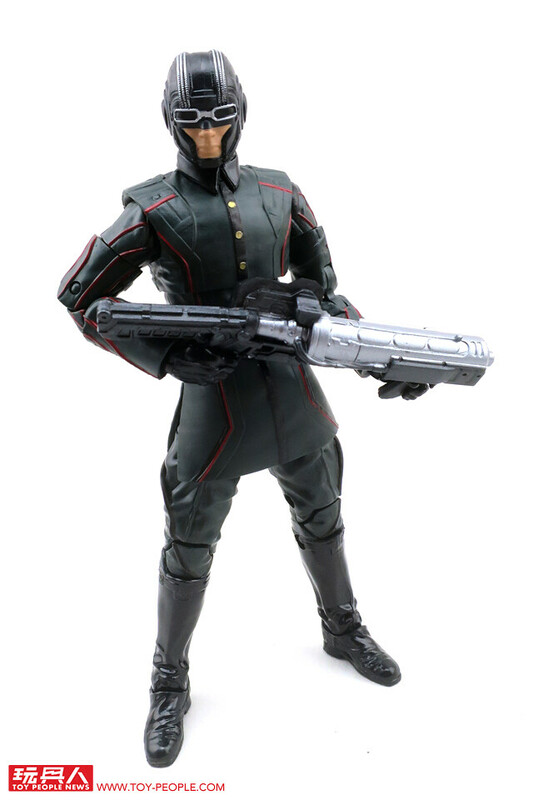 ▼ The Red Skull is a brand new mould which also includes three Hydra soldier head sculpts as well as associated weapons and harnesses so you can create your own Hydra army! 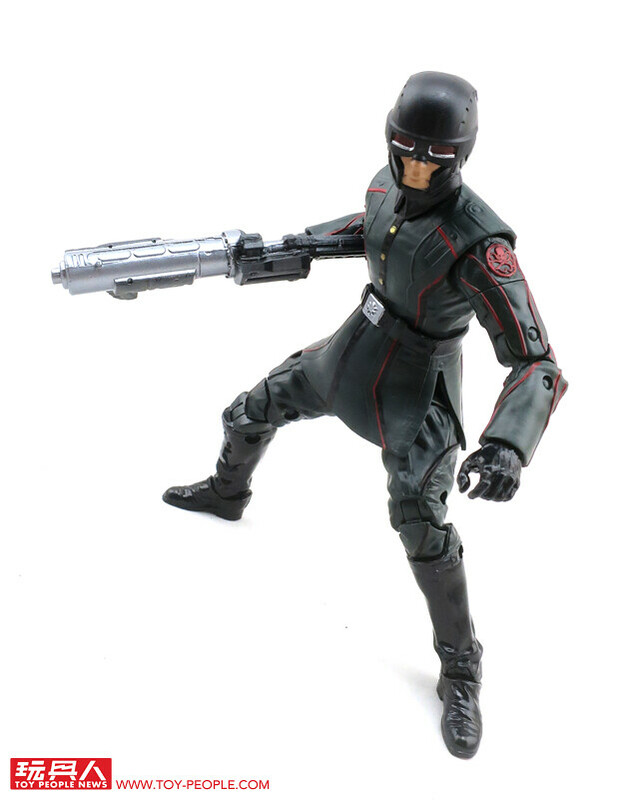 ▼ The figure is based on the Red Skull's cinematic appearance with eye-catching red lines and Hydra arm patch. 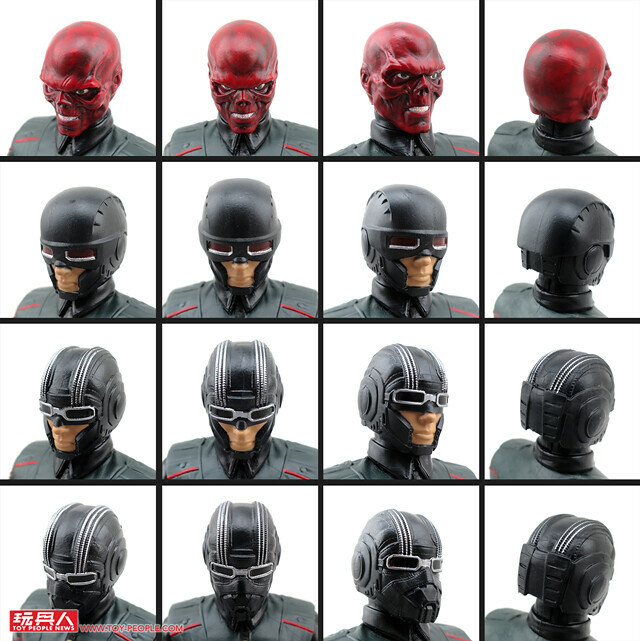 ▼ The head sculpt recreates the disfigured Hugo Weaving with gradient paint for a more realistic appearance. 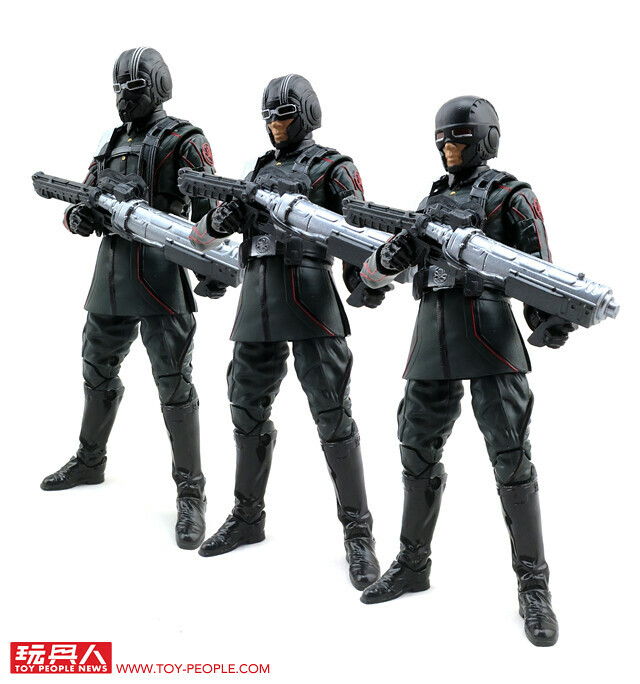 The three Hydra soldier head sculpts are fairly detailed as well. 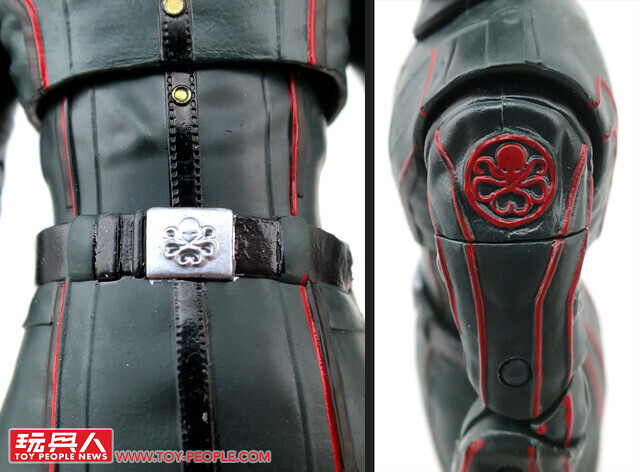 ▼ The Hydra insignia on the belt and arm patch are specially moulded. 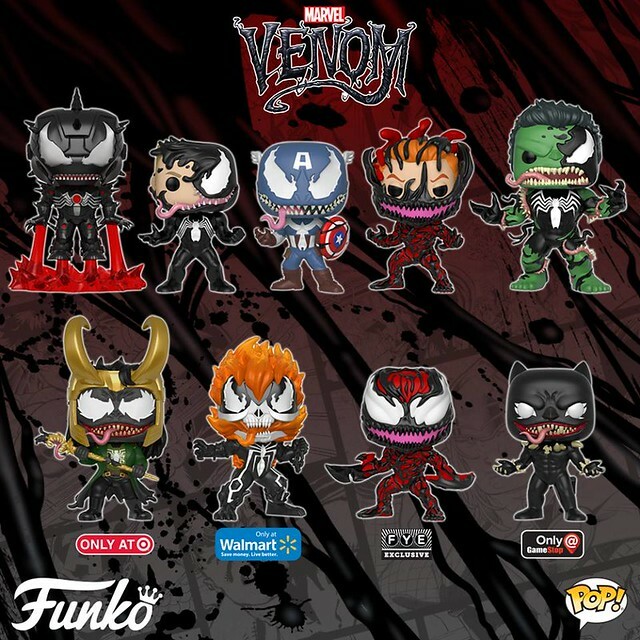 ▼ Commanding the forces of Hydra at its helm! ▼ No. 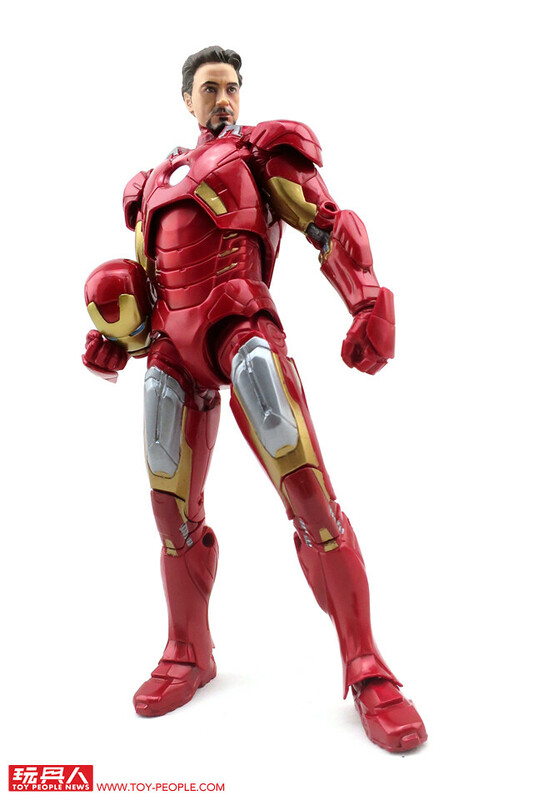 3 Iron Man Mark VII from 2012's hero ensemble The Avengers. 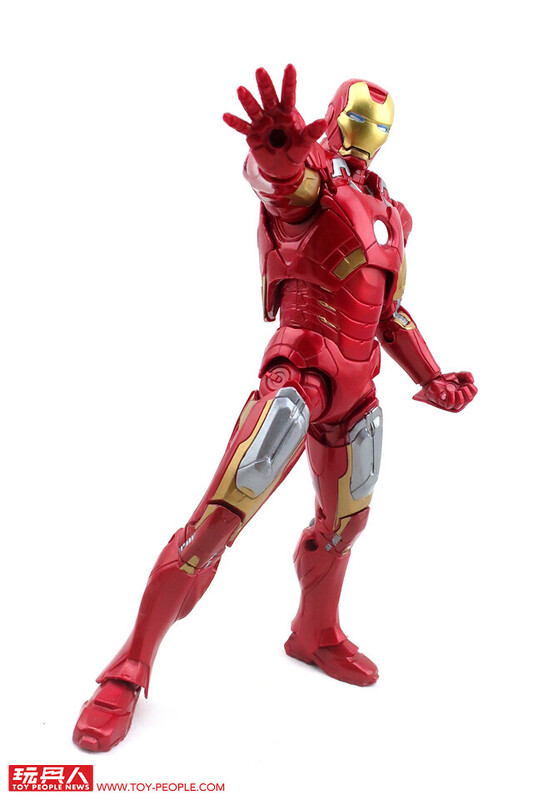 The Mark VII armor made a memorable entrance during the climactic Battle of New York and is one of the most iconic Iron Man armor suits. 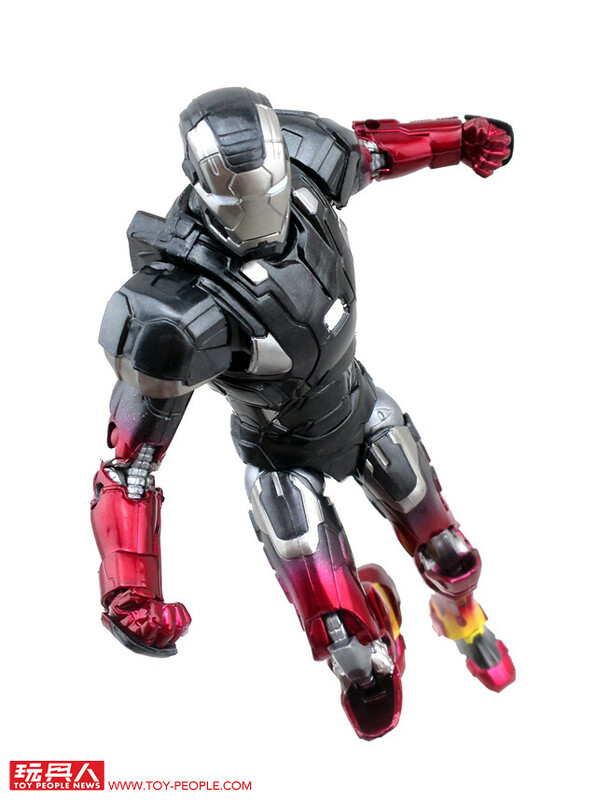 ▼ Includes two additional gauntlets and repulsor effect pieces. 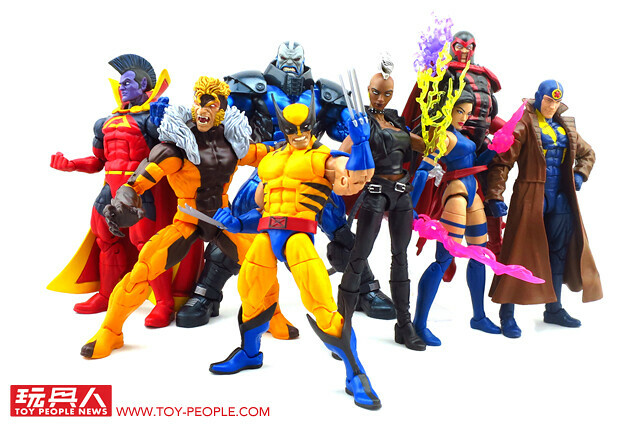 Keep in mind that the open-palm gauntlet pieces do not include connective joints, so be careful when you are switching the parts around. 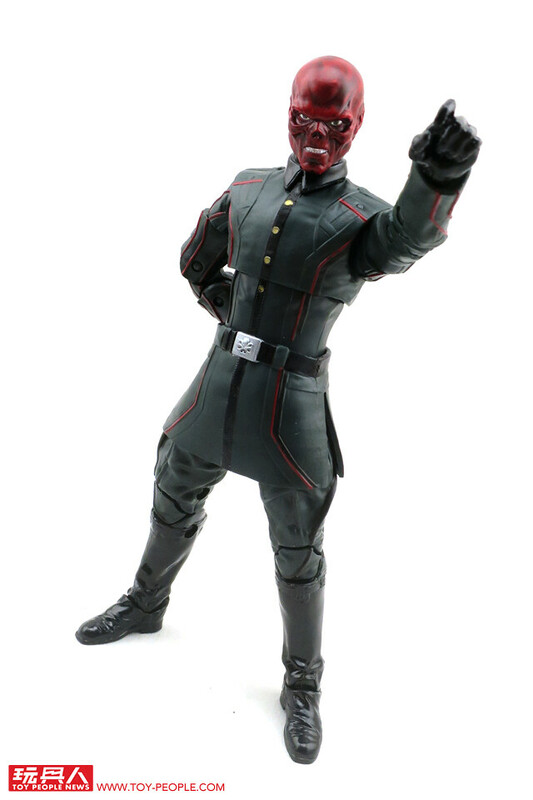 ▼ The figure is painted the standard red with a faint gloss for a metallic finish. ▼ What's this mysterious contraption on the back? Stay tuned to find out! 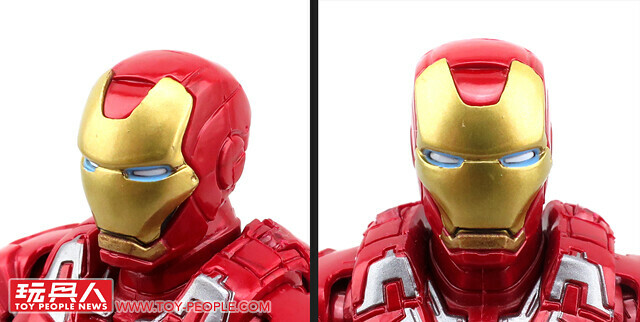 ▼ The red and gold head sculpt is Iron Man's trademark characteristic, pierced by the blue glow from the eyes. 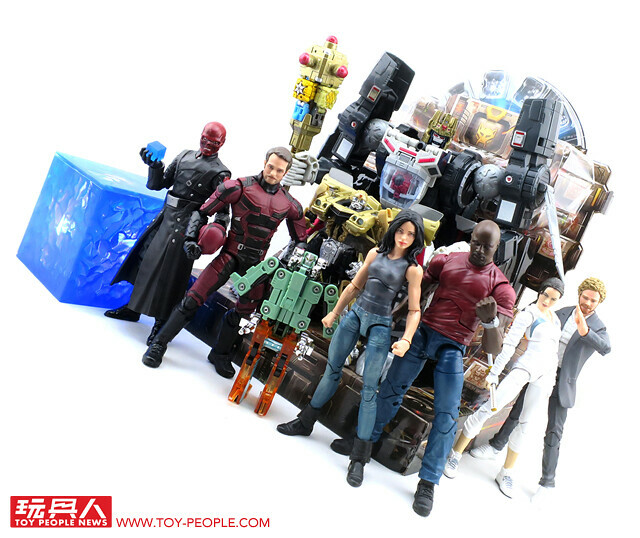 ▼ Jet boosters in the back just like in the movie. 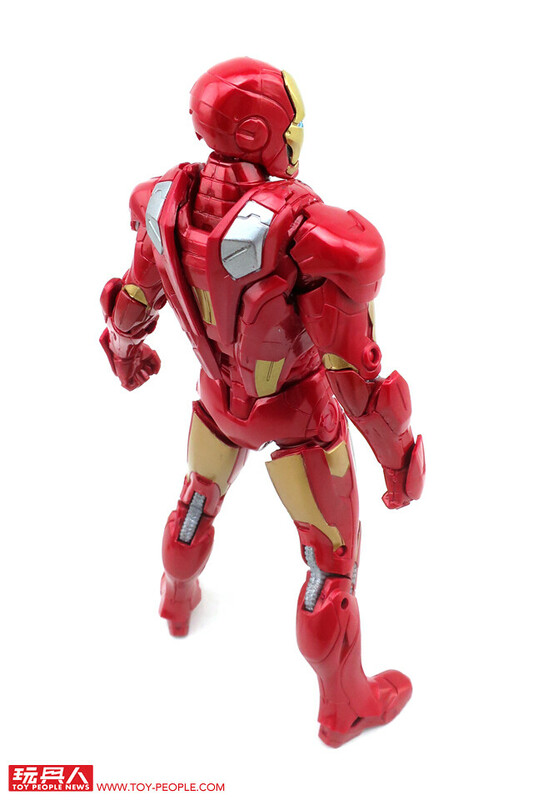 ▼ High levels of articulation makes the figure look good from any angle! 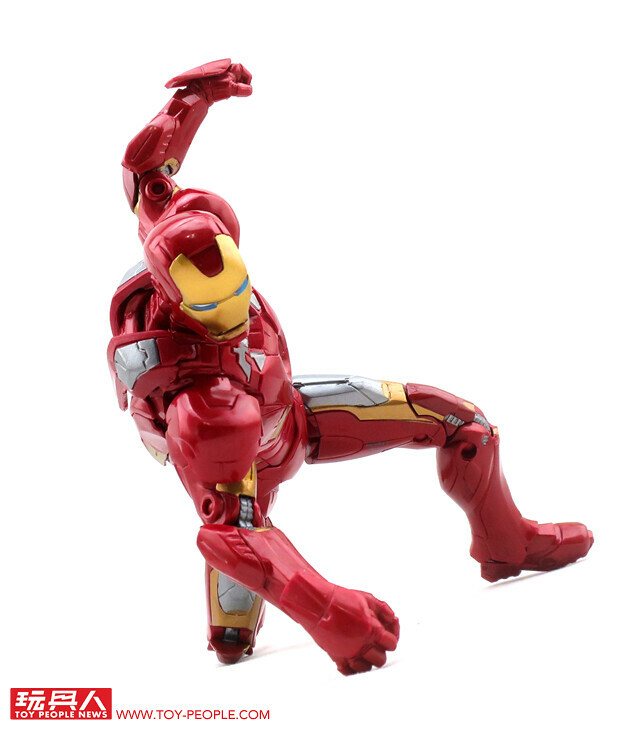 ▼ The superhero landing that started it all! 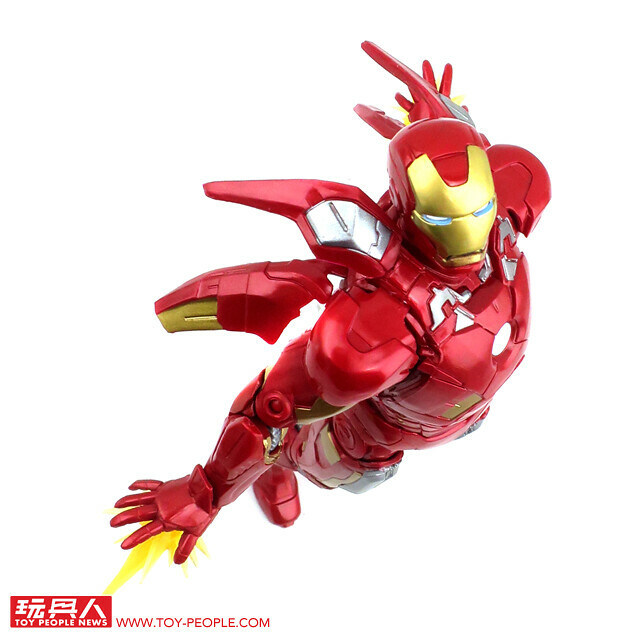 ▼ Looks great in flight with the repulsor effect! 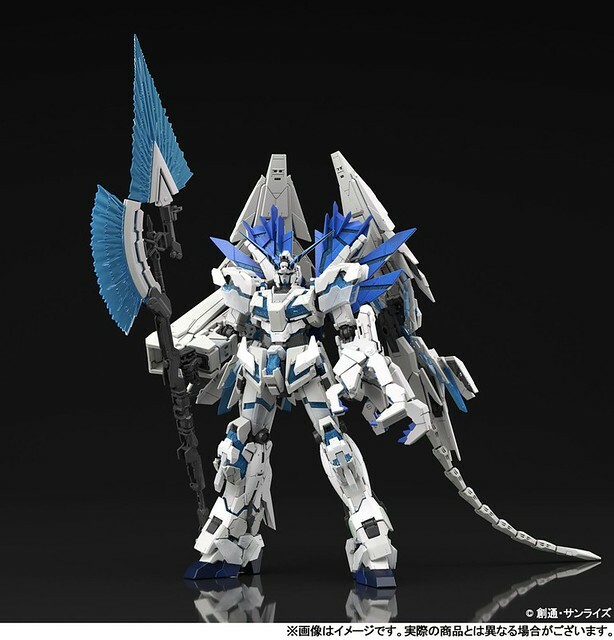 ▼ The effect pieces can be attached to both the hands and the legs. 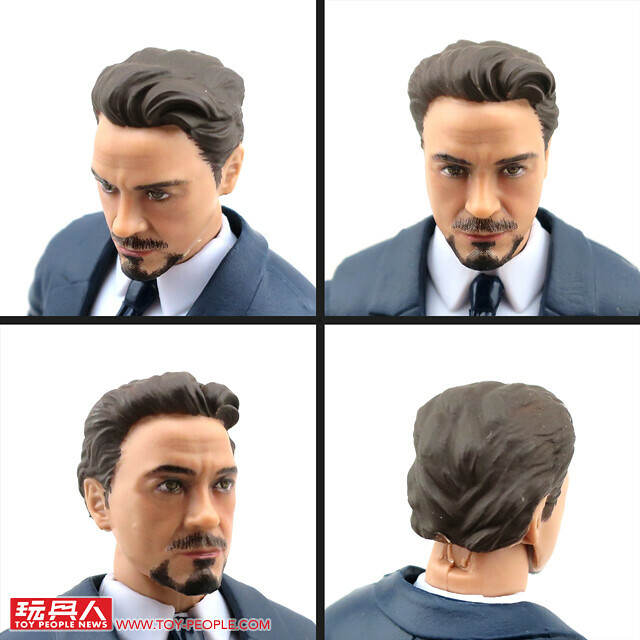 ▼ Swap out the armored head for a Tony Stark head sculpt! ▼ No. 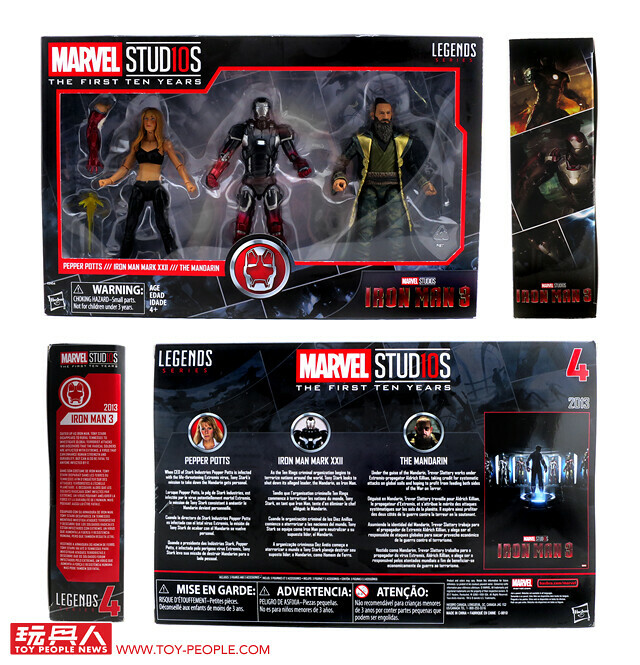 4 Pepper Potts, Iron Man Mark XXII, and Mandarin 3-pack from 2013's Iron Man 3. 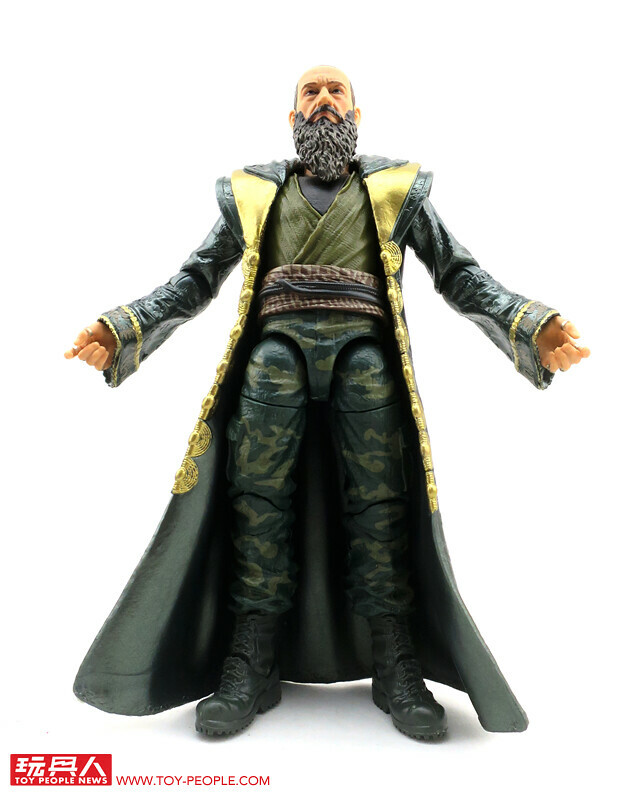 This is the first time that Pepper and the Mandarin have been captured in Marvel Legends form. 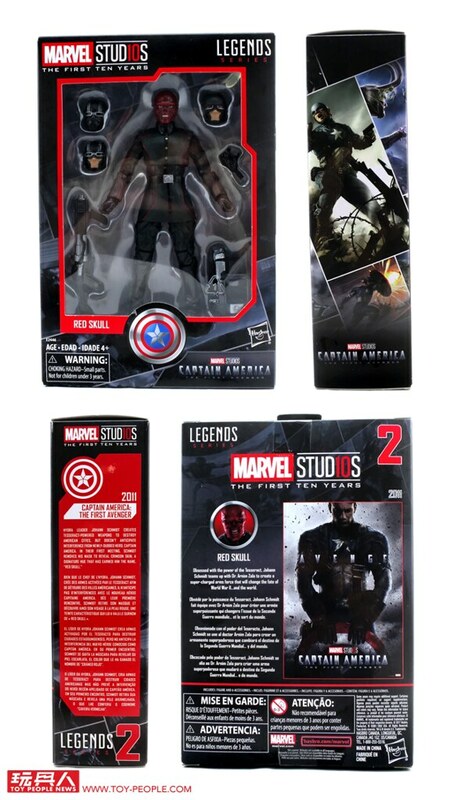 ▼ In addition to the three main figures, the pack includes Pepper's interchangeable gauntlet arm and a repulsor blast effect piece. 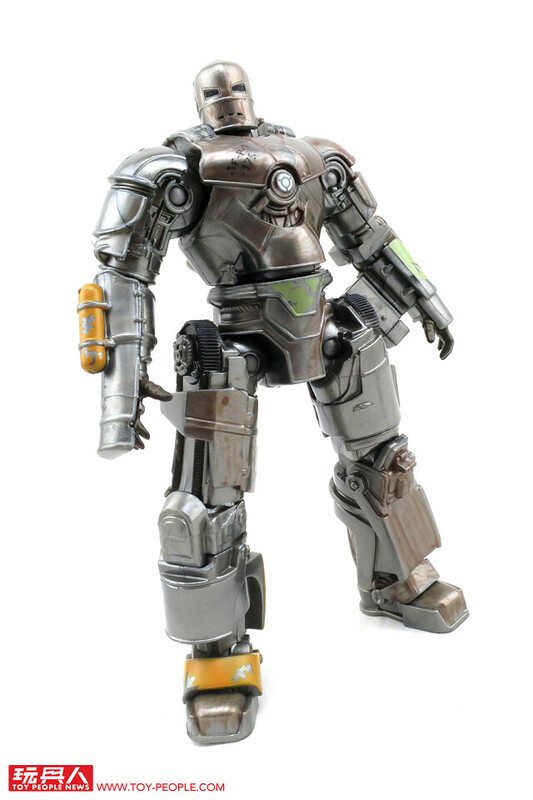 ▼ Pepper is sporting her look at the end of Iron Man 3, where she's been injected with the Extremis virus and is wearing skin-tight clothing. The figure captures Gwyneth Paltrow's features and figure. 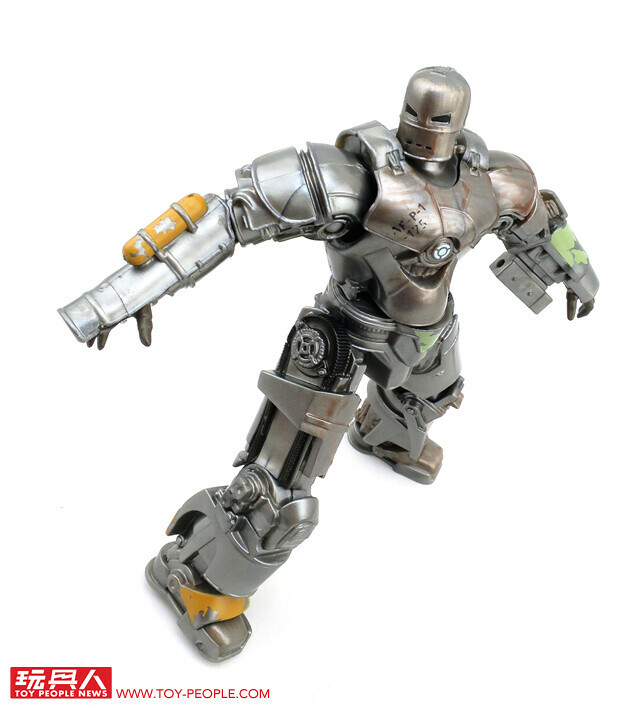 ▼ The right arm can be replaced with the armored gauntlet of the Iron Man Mark 9 so you can recreate the film's classic scene. 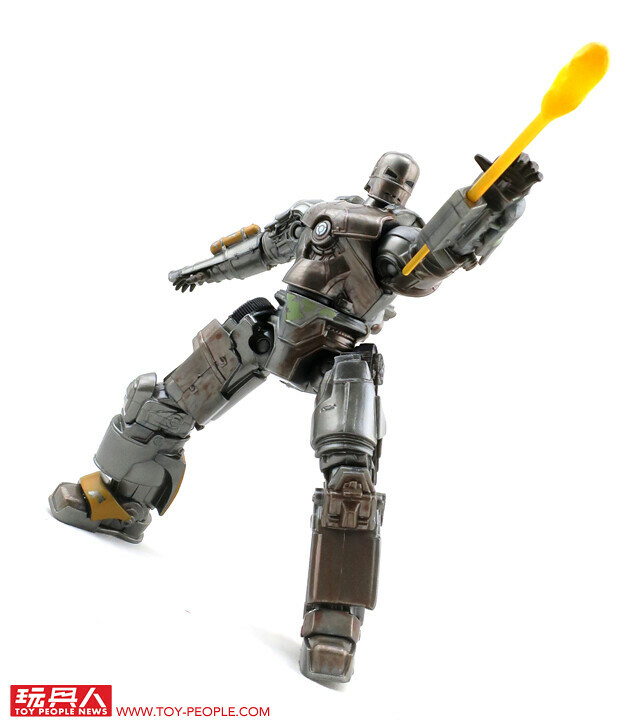 ▼ Attach the blast effect to put an end to Aldrich Killian! 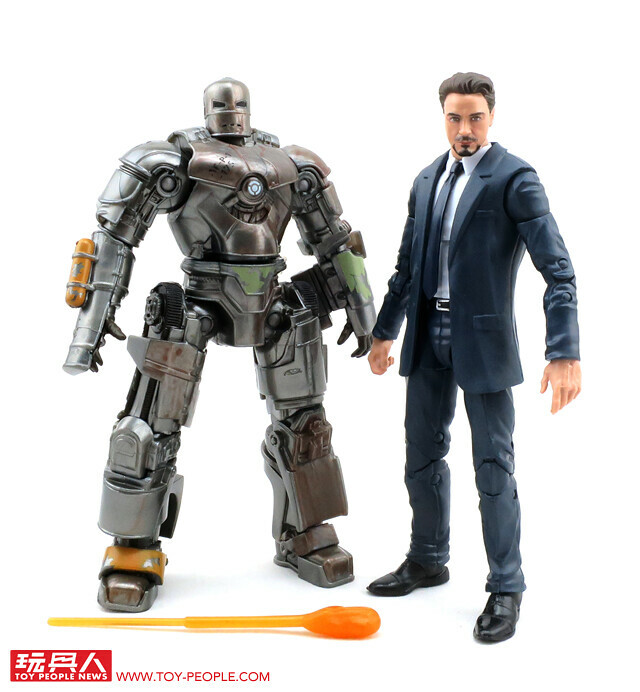 ▼ A toast to Tony and Pepper! 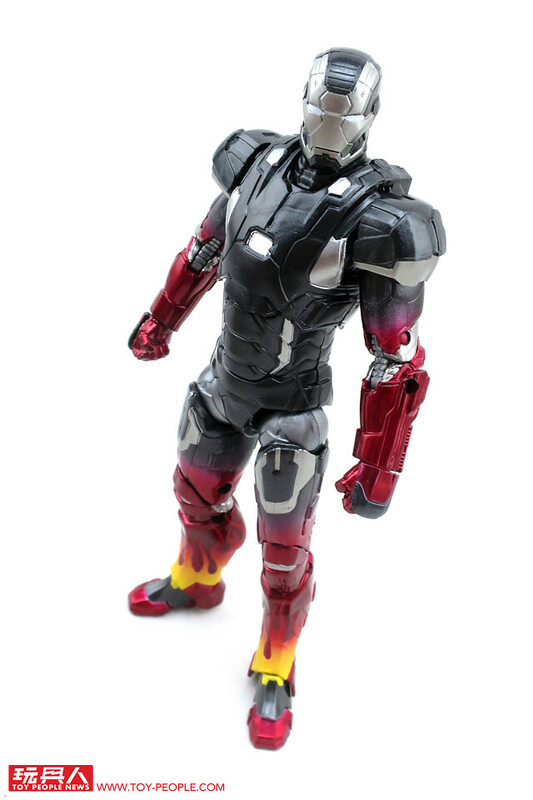 ▼ Iron Man Mark 22 (XXII), also known as Hot Rod, is a member of Tony's Iron Legion and War Machine 2.0's prototype model. The legs are decked out in flame details for a bizarre mixture of subtle and flamboyant color schemes. 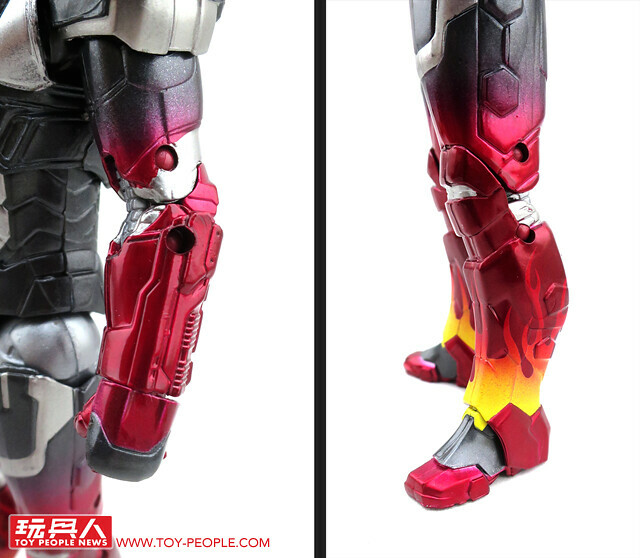 ▼ The arms and legs feature a nice metallic gradient, especially the lower calf with those can't miss flame details. 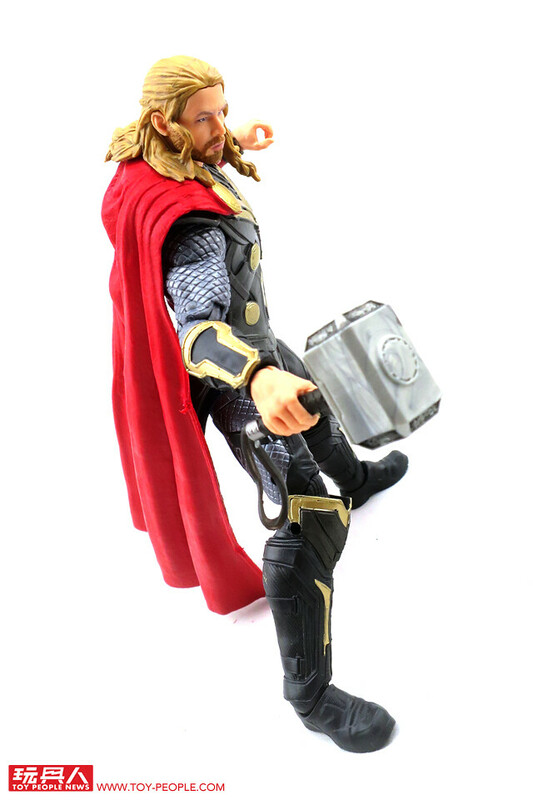 ▼ The articulation is comparable to past iterations, and that ankle articulation is still not ideal. 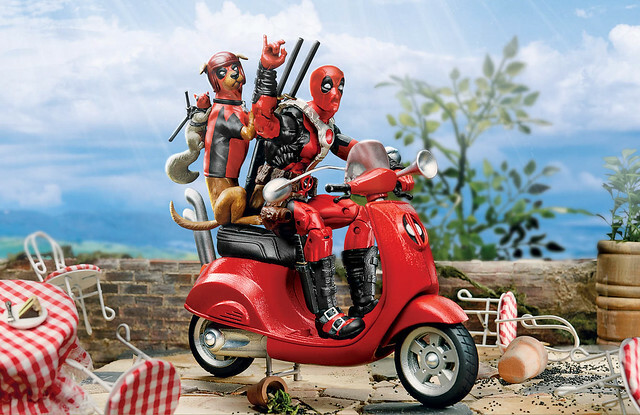 ▼ Can't throw an Iron Legion House Party without Hot Rod. 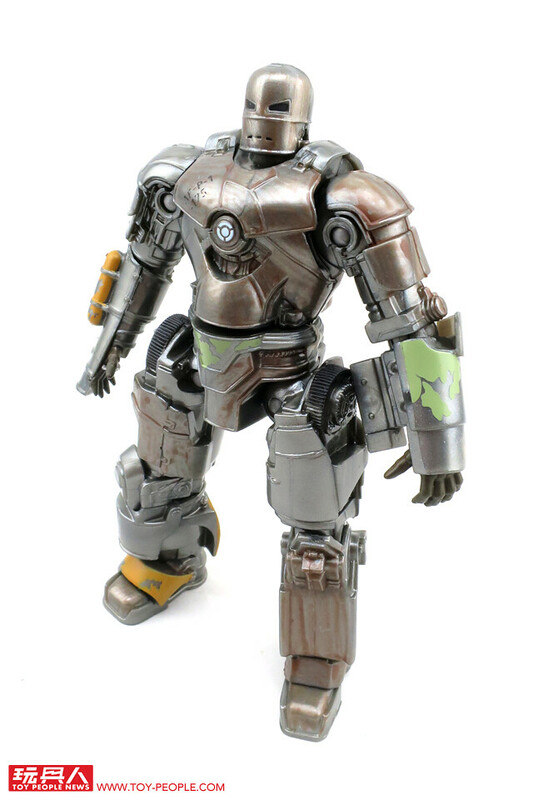 ▼ Mandarin, one of Iron Man's greatest enemies. 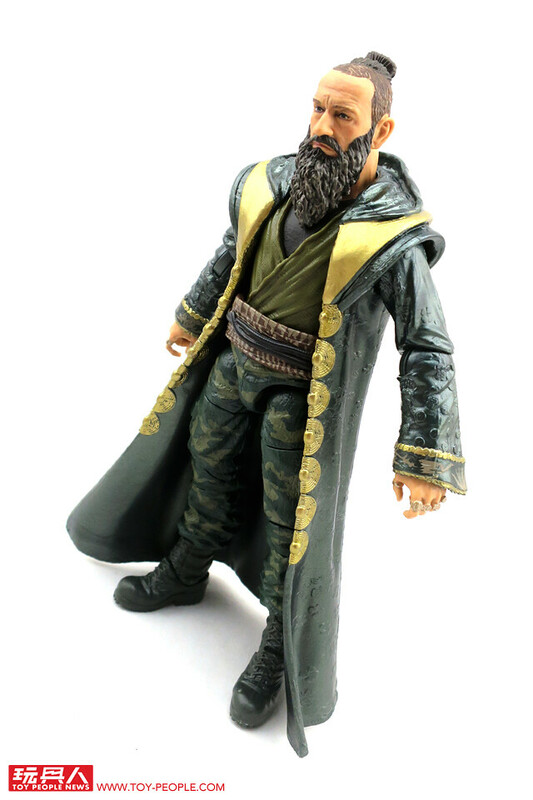 In the comics, he is a master martial artist armed with ten magic rings. 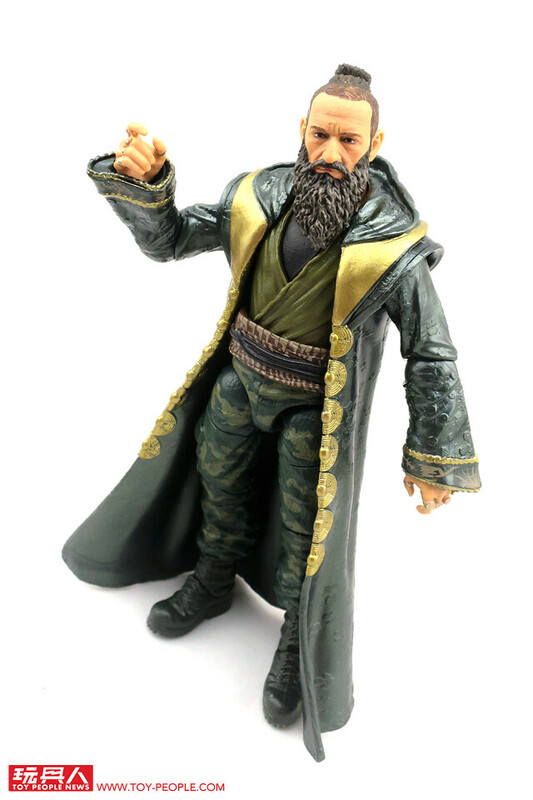 In Iron Man 3, he is Ben Kingsley an actor by the name of Trevor Slattery acting as Aldrich Killian's puppet. 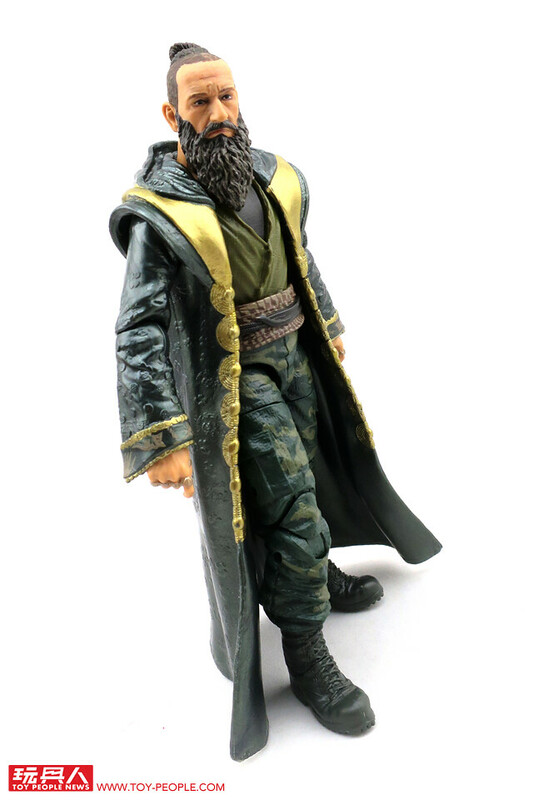 The figure captures the in-film Mandarin design with cloak and beard. ▼ The dark green coat is fairly beautiful. 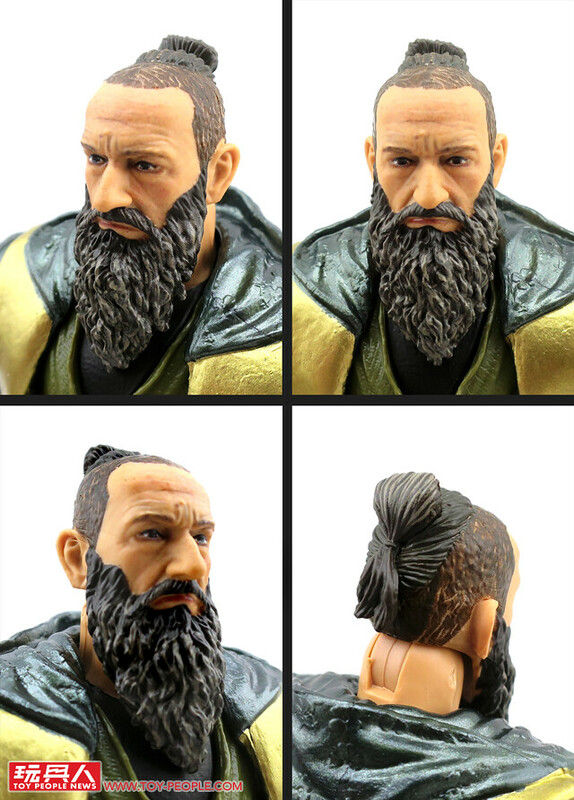 ▼ Head sculpt captures Ben Kingsley's appearance with detailed work in the hair and beard. 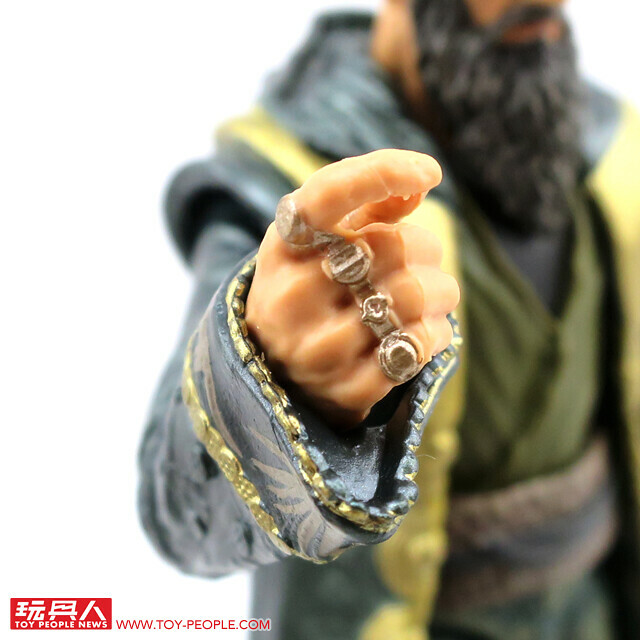 ▼ In the film, the Mandarin's ten rings are merely decorations. 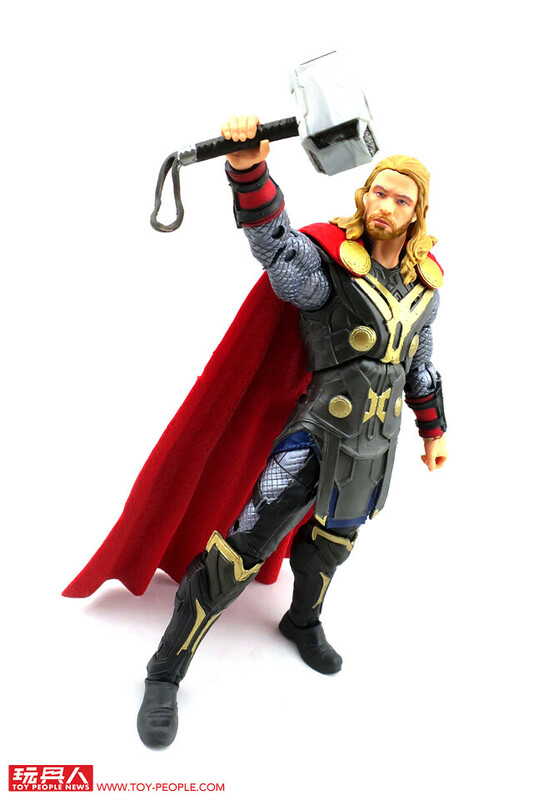 ▼ The hood ornaments have been moulded into the figure! ▼ "Some people call me a terrorist, I consider myself a teacher." ▼ No. 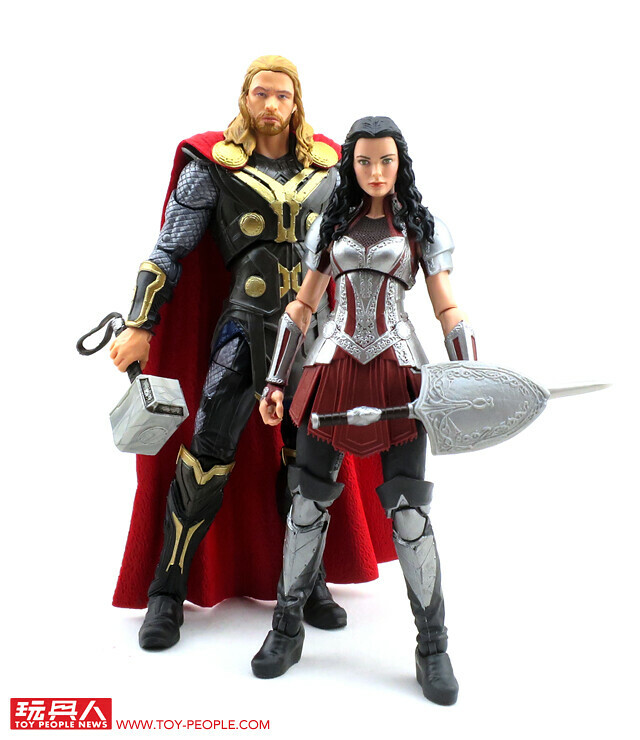 5 Thor and Sif 2-pack from the 2013 sequel Thor: The Dark World. 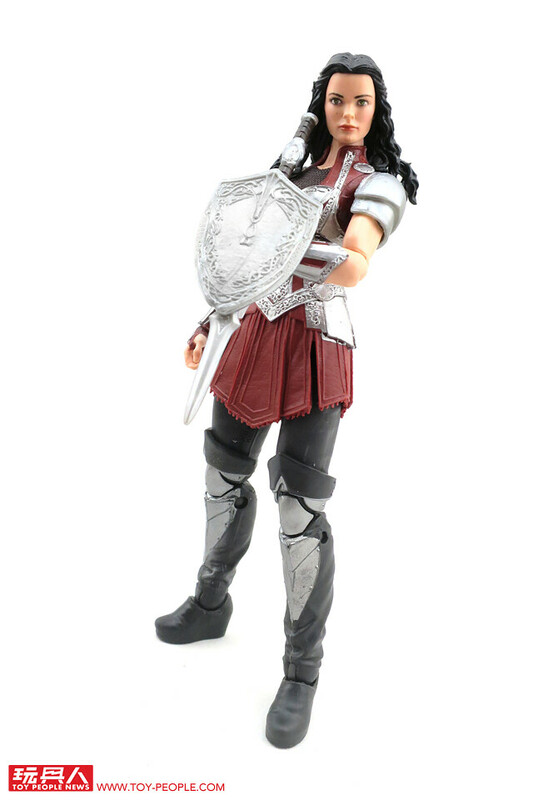 This is also the first time that movie Sif has been immortalized in figure form, so fans be on the ready! 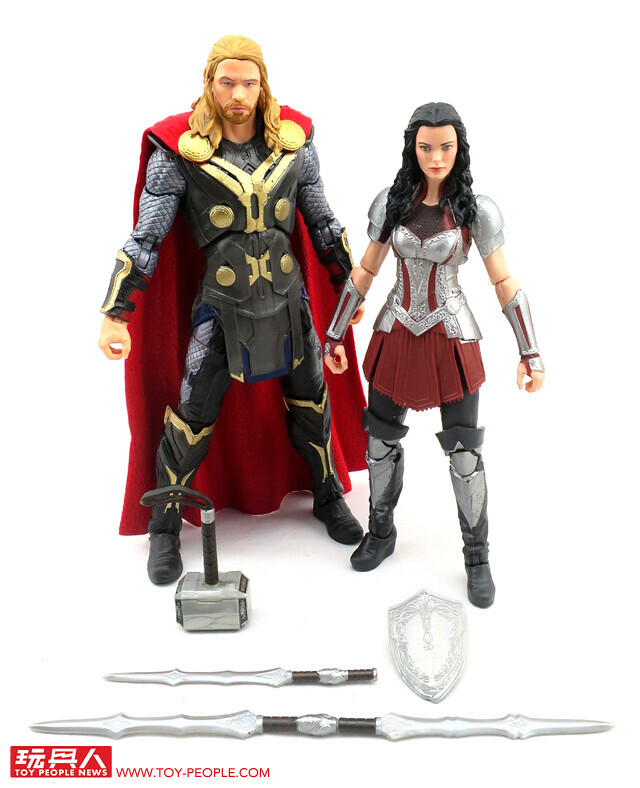 ▼ Includes Thor's trusty hammer Mjölnir as well as Sif's shield, longsword and double-bladed sword. 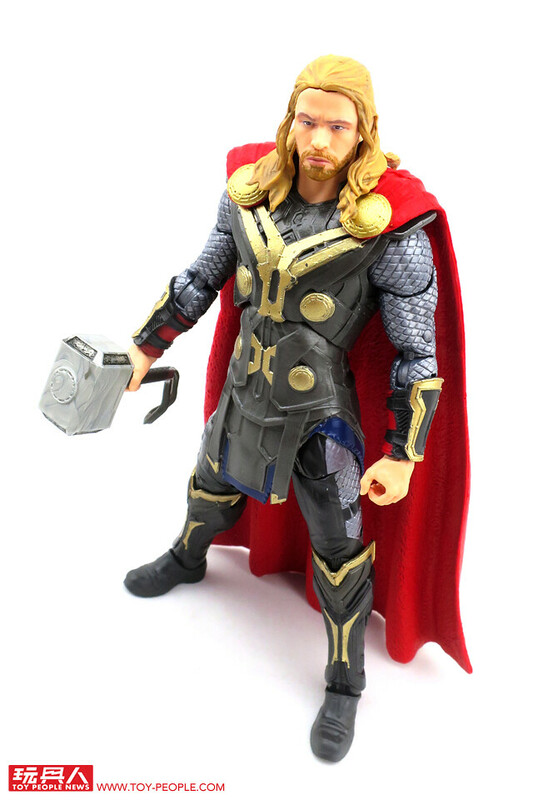 ▼ Thor keeps his design from The Avengers but this time with gold armor details. 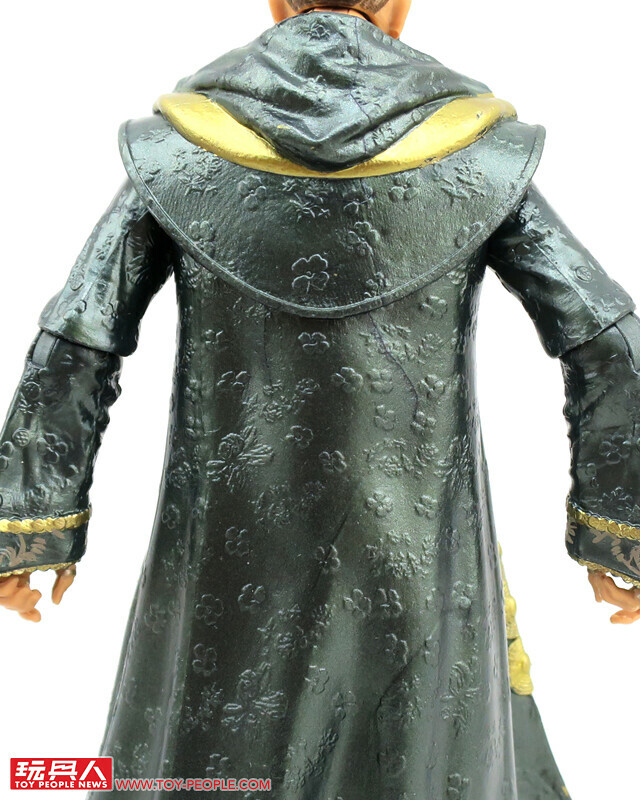 ▼ Though it is made out of a soft rubber complex, the folds in the cape are quite realistic. 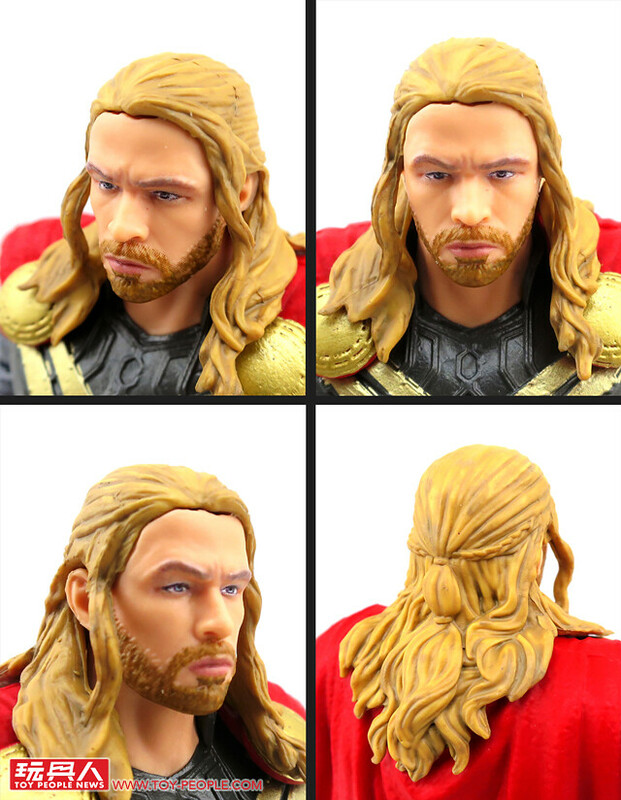 ▼ The head sculpt is not new but seems to capture Chris Hemsworth even better with a full head of golden locks. 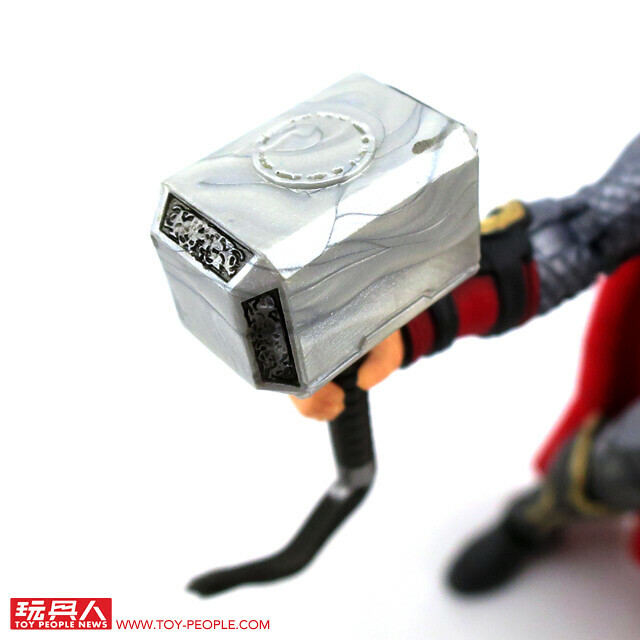 ▼ Forged in the heart of a dying star - Mjölnir!! 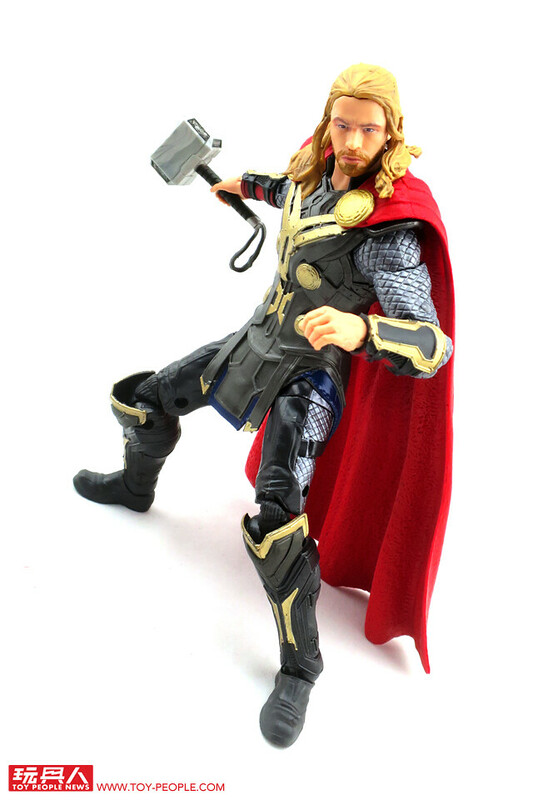 ▼ "I am Thor, son of Odin!" 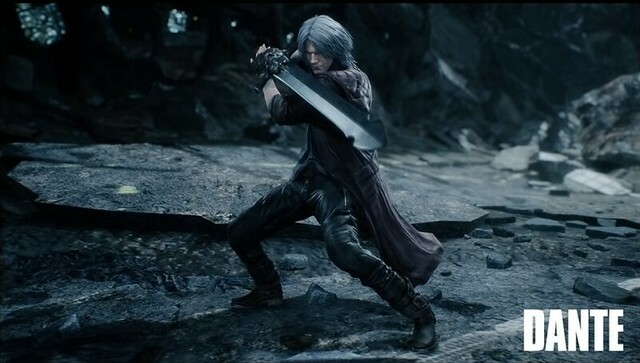 ▼ The cape can act as a third point of support for more dynamic poses. 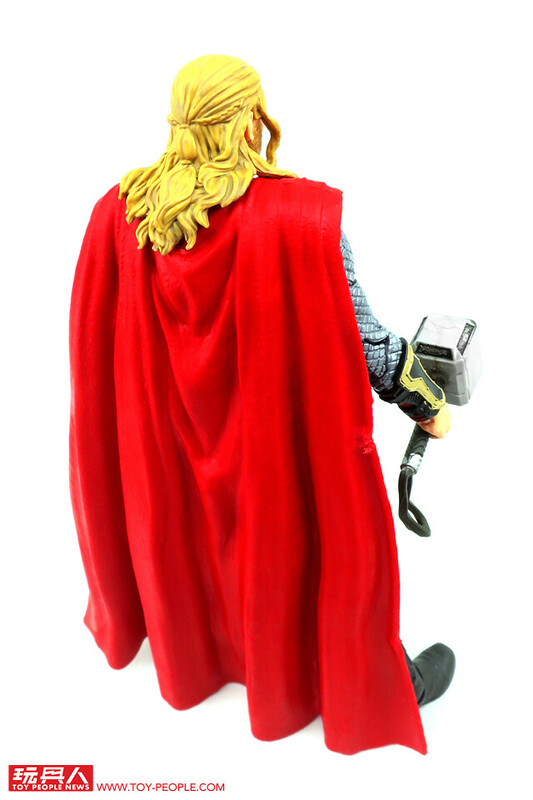 ▼ Between Thor's long and short hairstyles, which do you prefer? 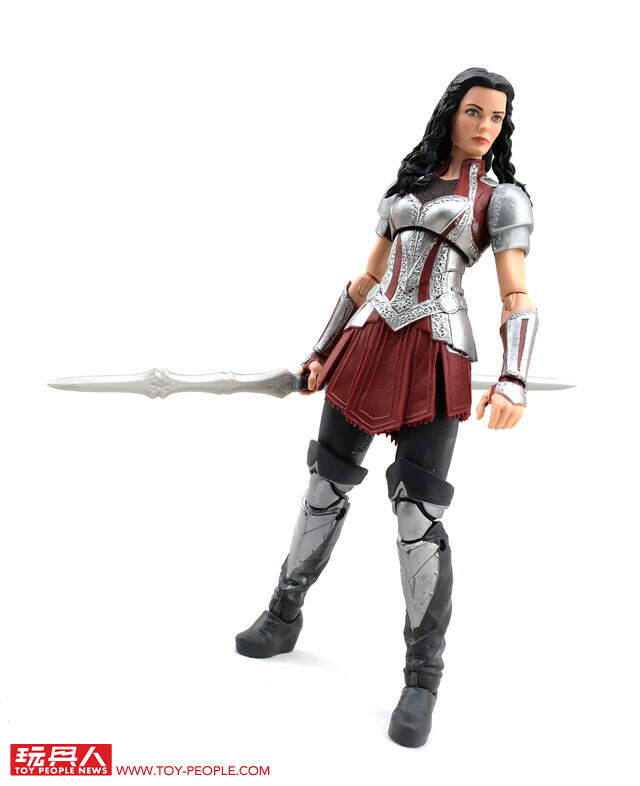 ▼ Sif is the fiercest female warrior of Asgard, protecting the realm with her best friends Thor and the Warriors Three. 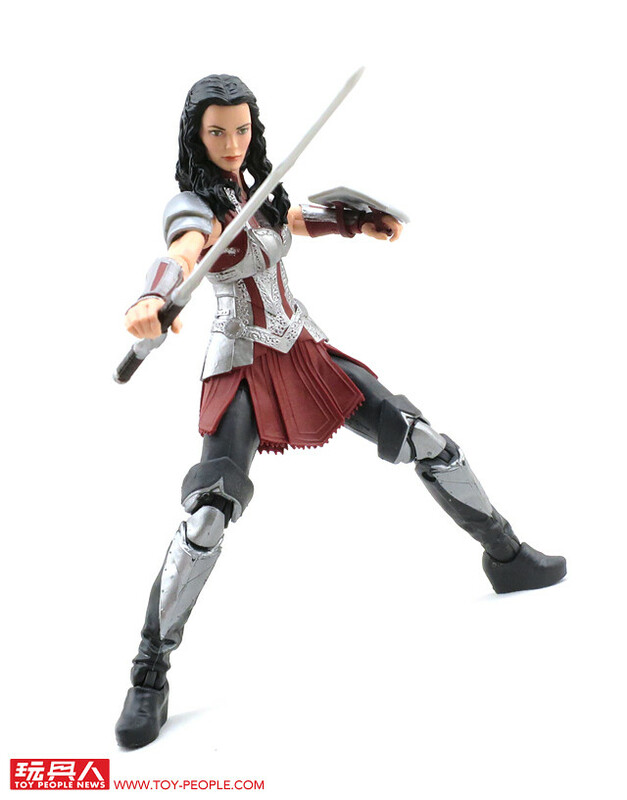 She wields her double-bladed sword and shield in her cinematic crimson and silver armor. 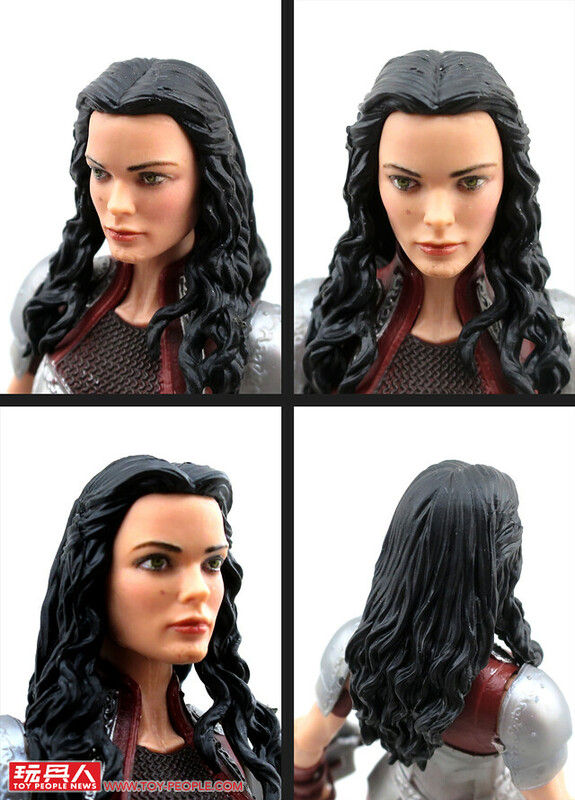 ▼ That's Jaimie Alexander alright. 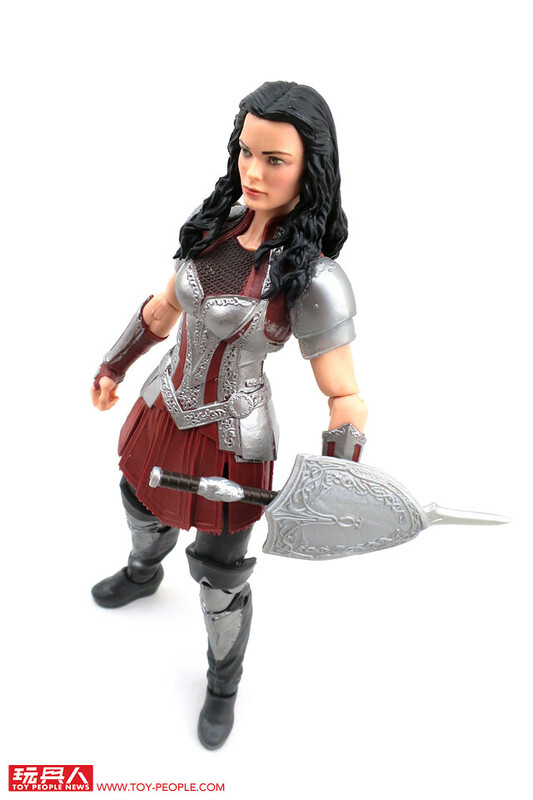 Hasbro even made sure to include her mole. 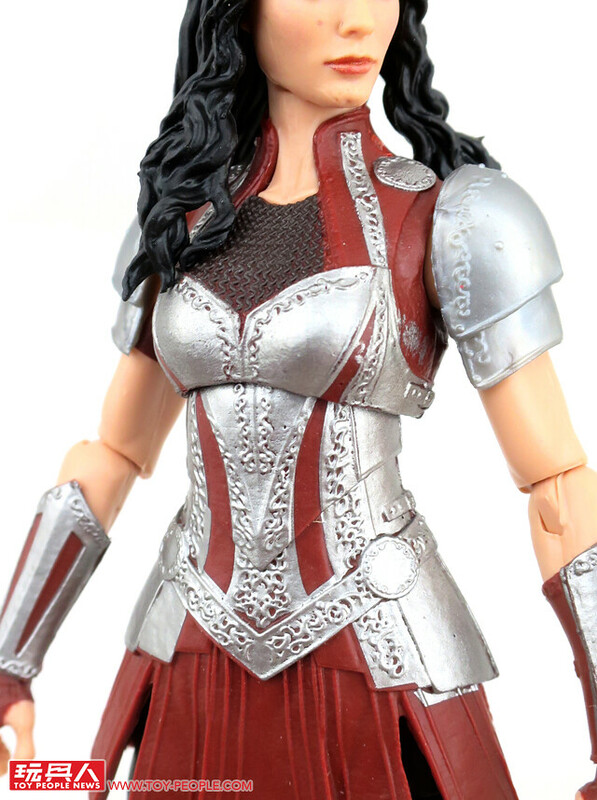 ▼ The chain mail and plate armor pattern are finely decorated. 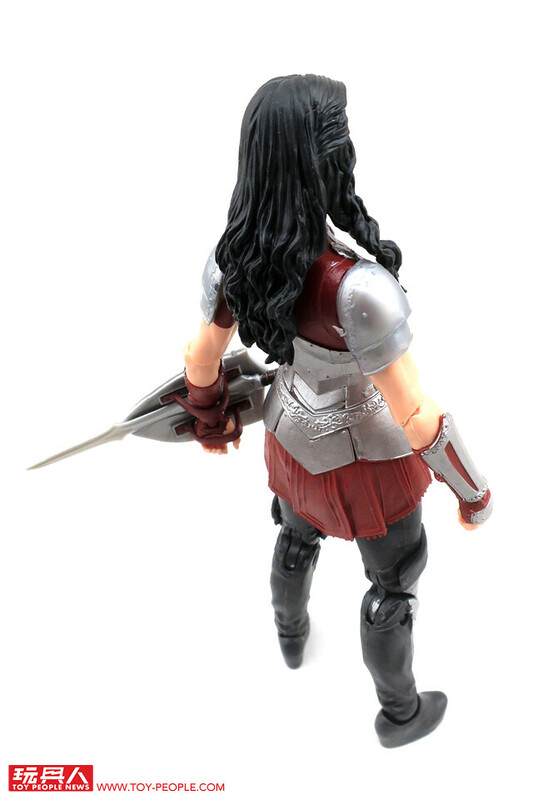 ▼ Sif fans, this is what you've been waiting for. 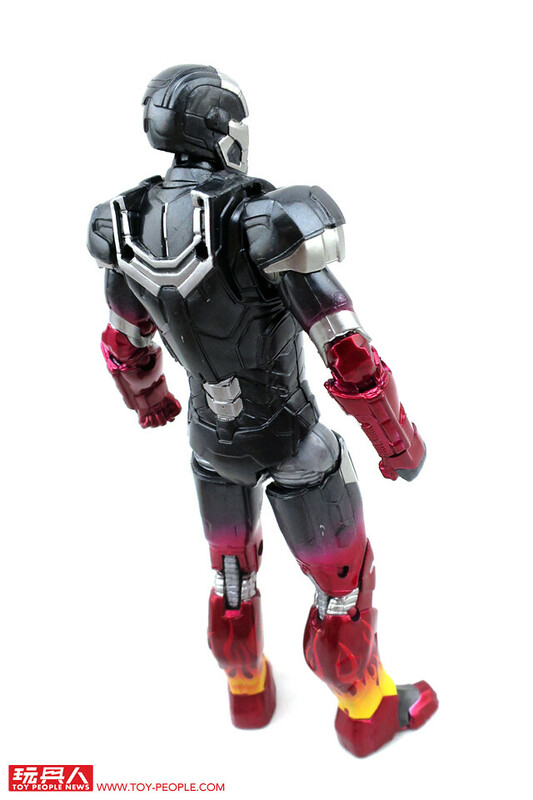 ▼ The skirt is made form a soft rubber so as to hold its form and not affect articulation in the legs. 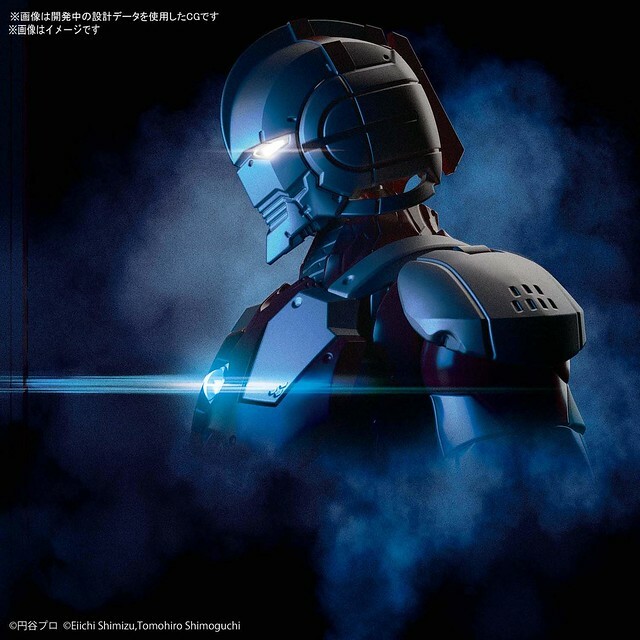 ▼ With double-bladed sword in hand! 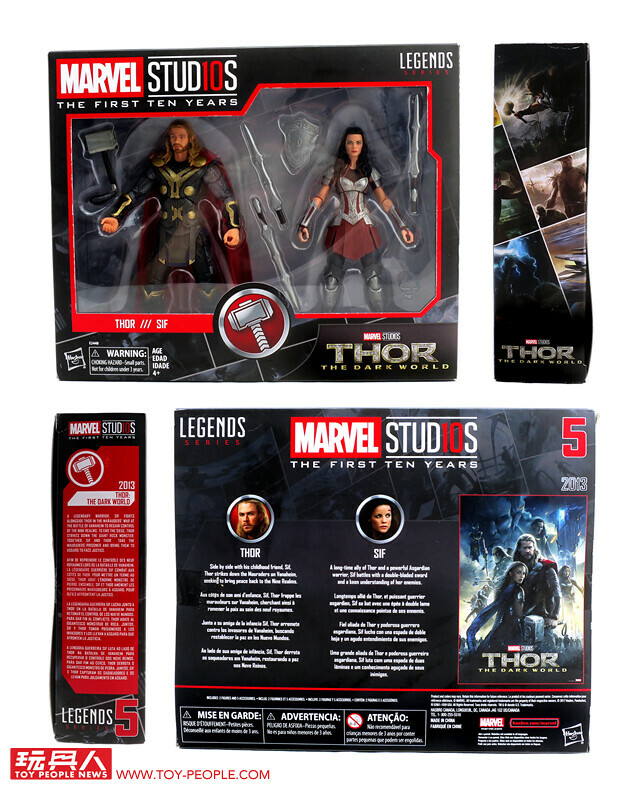 ▼ This is part 1 of the Marvel Legends: The First Ten Years unboxing report. But don't go away yet, because the best is still to come. 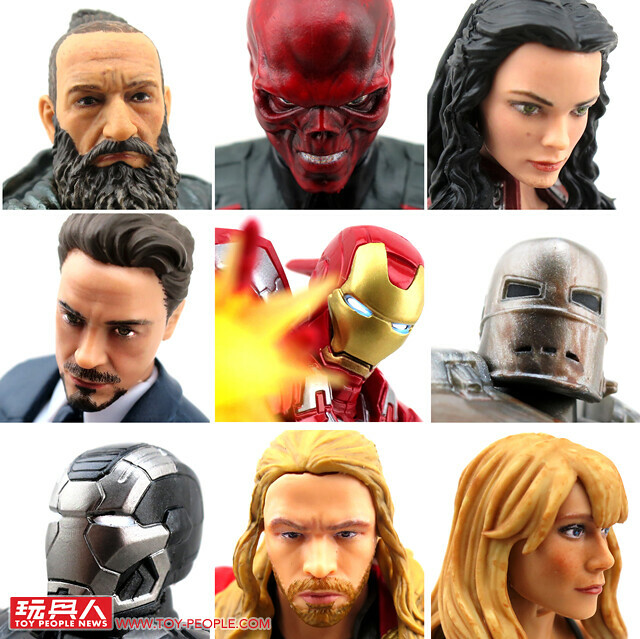 We will be showcasing figures No.6 to No.10 as well, so stay tuned for future updates. See you all next time!